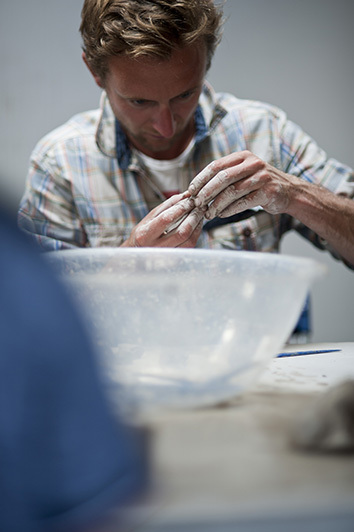 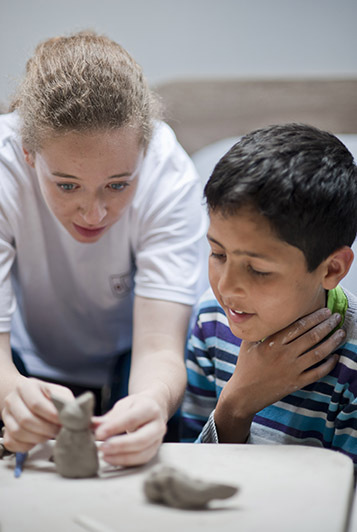 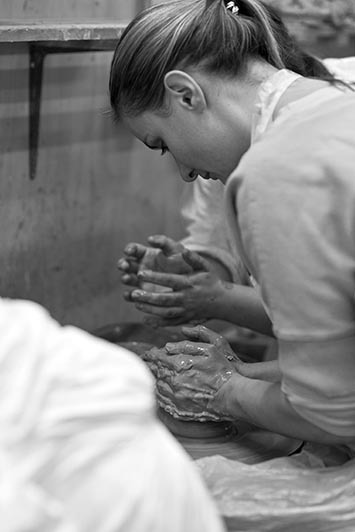 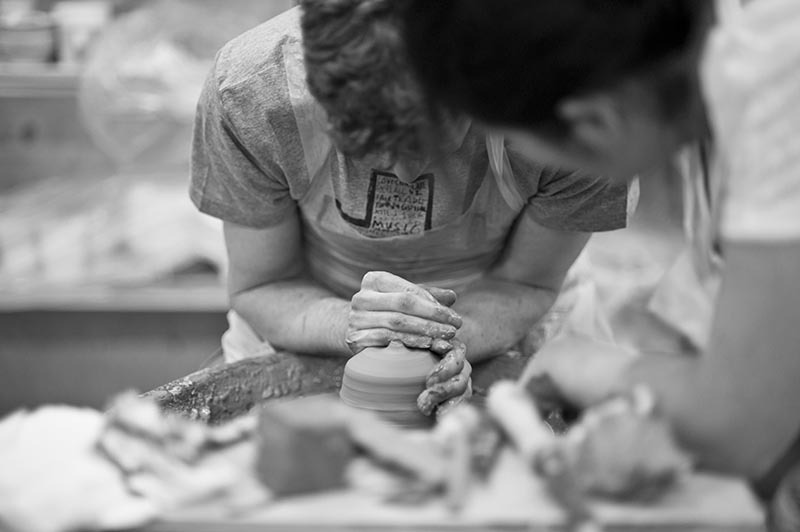 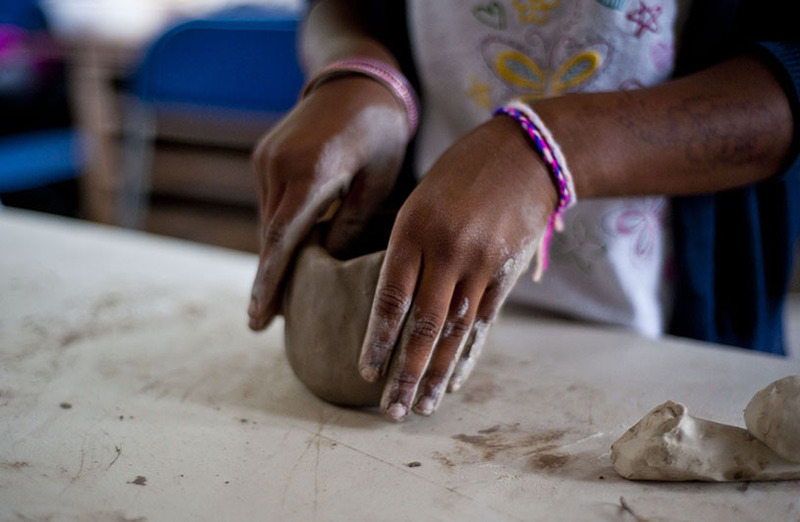 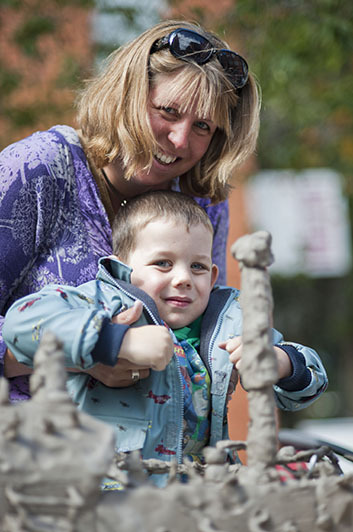 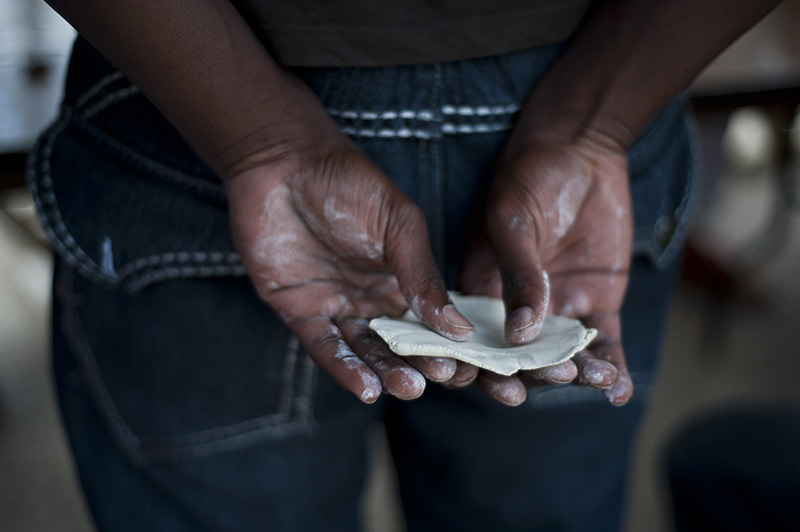 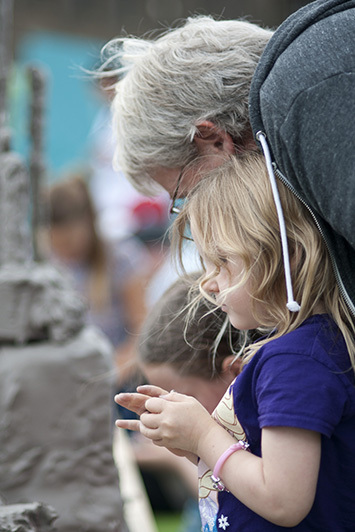 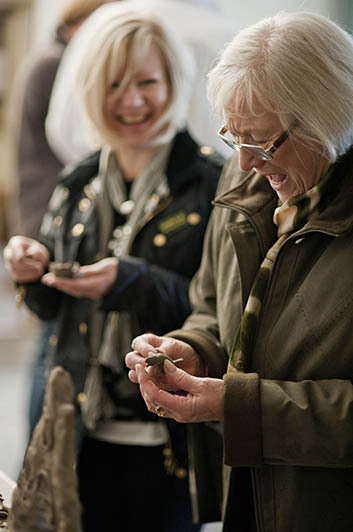 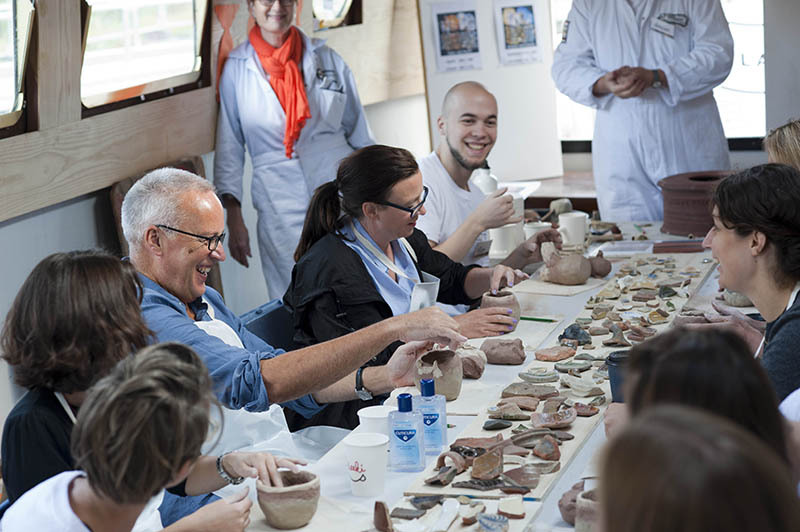 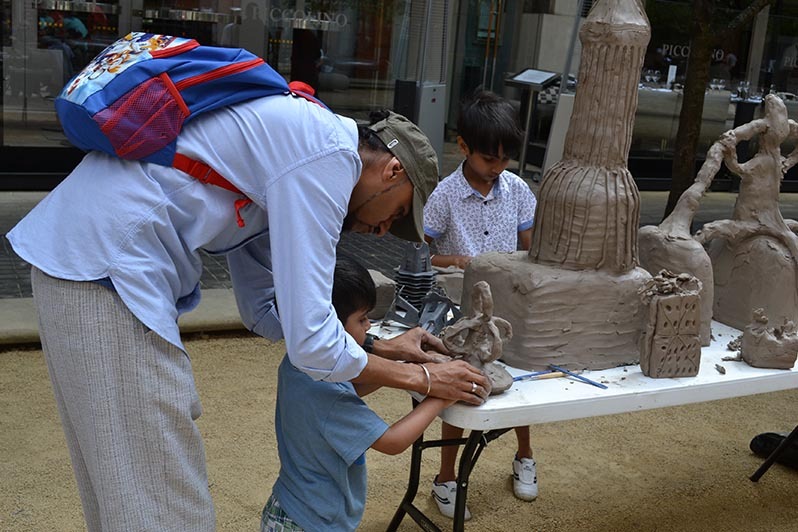 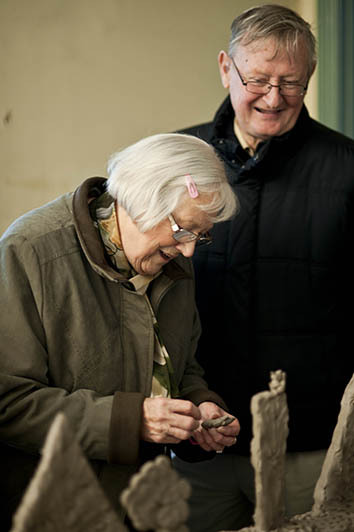 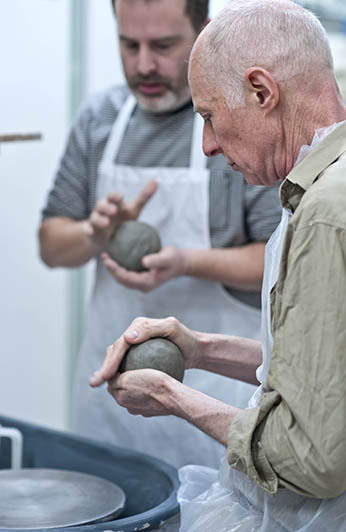 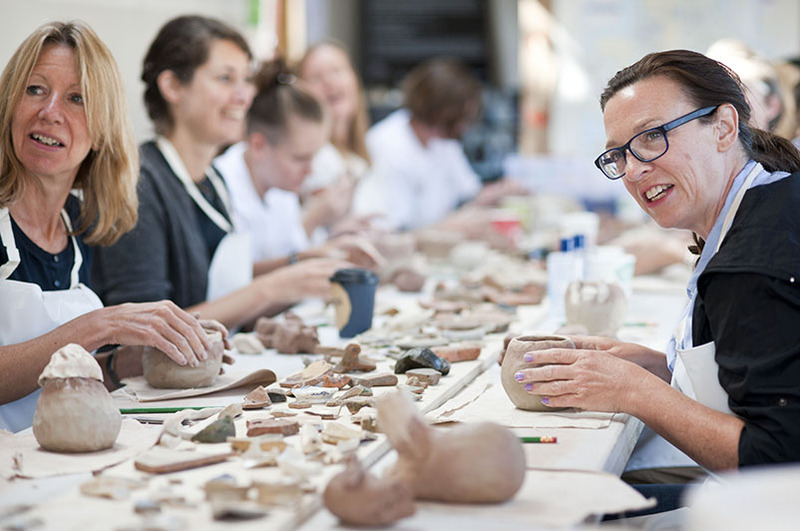 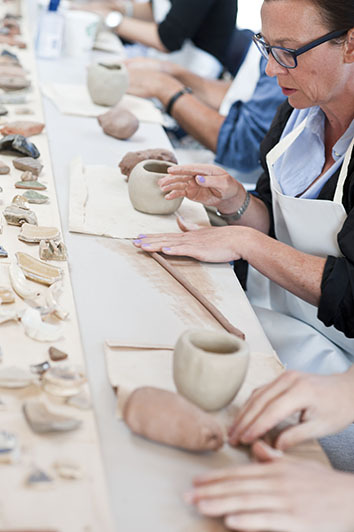 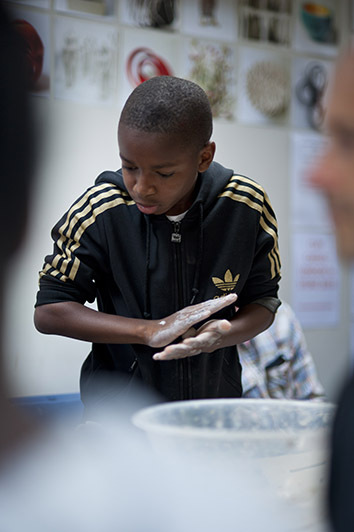 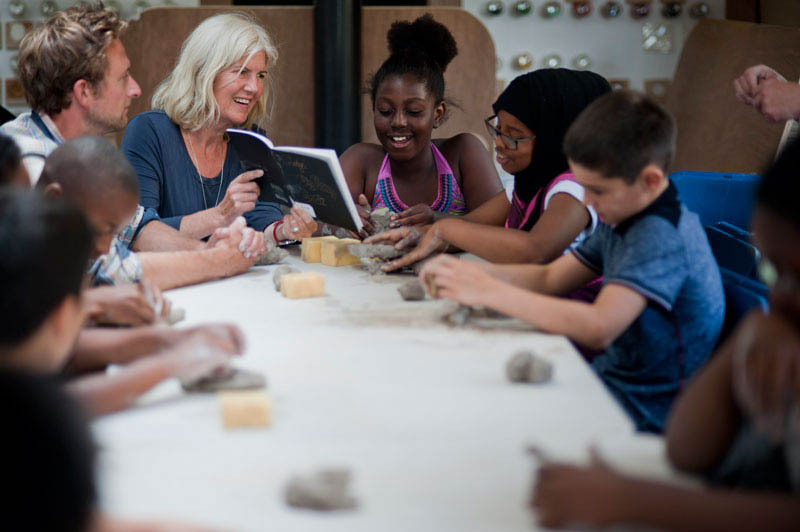 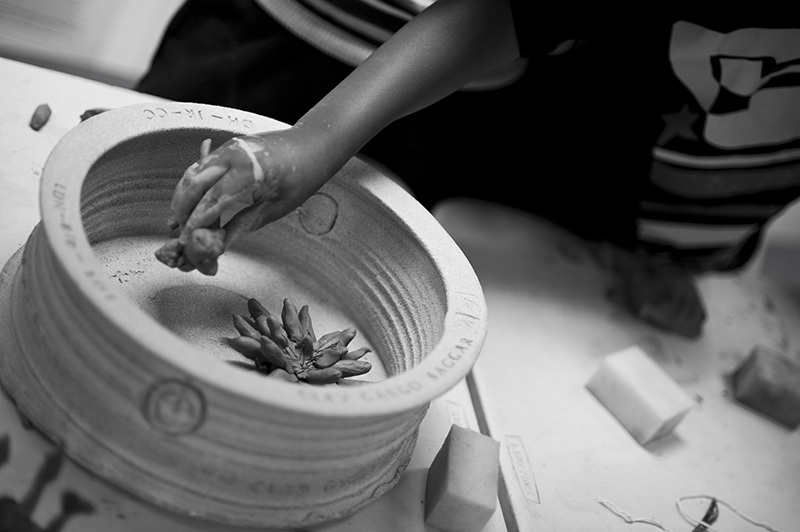 We believe that everyone, whatever their age or background, will gain something positive from an experience of clay, through getting their hands dirty, by making, playing and exploring the material’s creative potential. 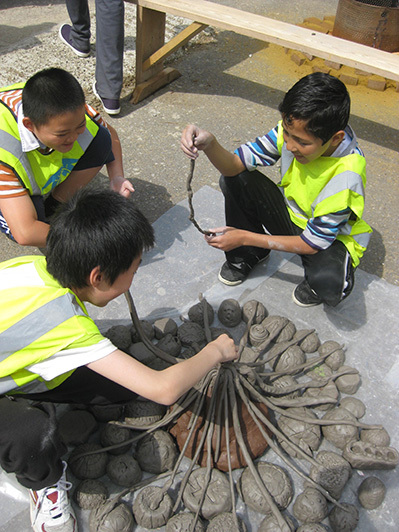 We value working in partnership with other educators in both formal and informal learning settings. 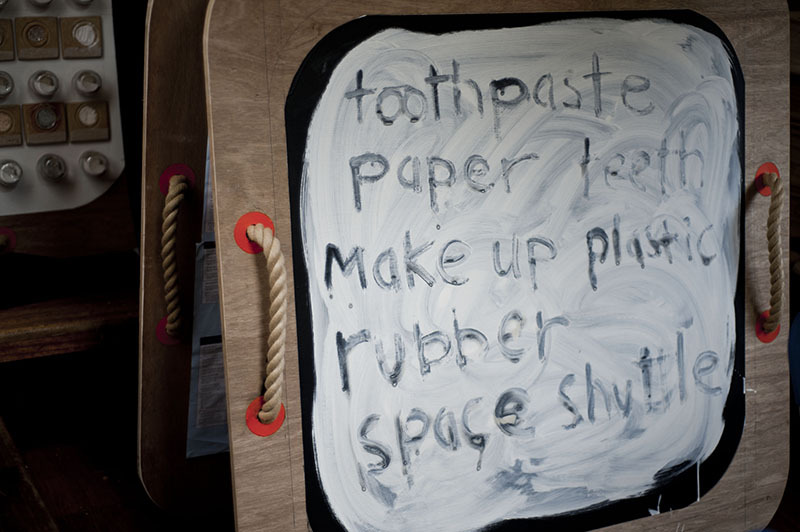 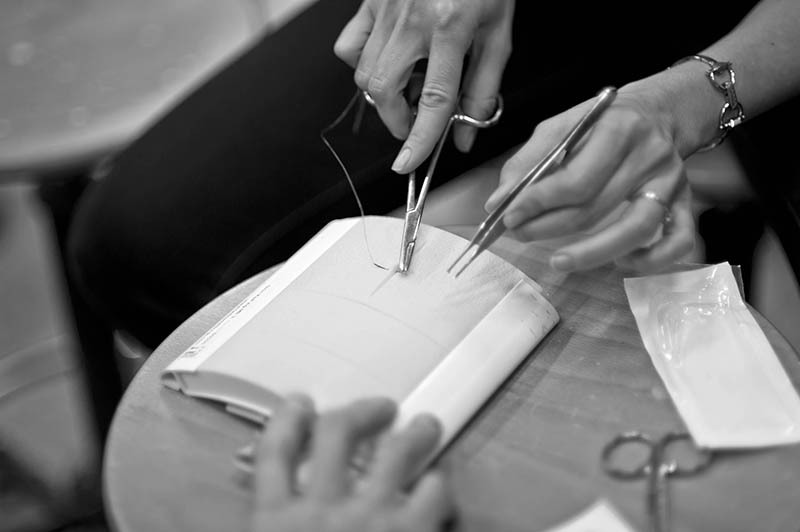 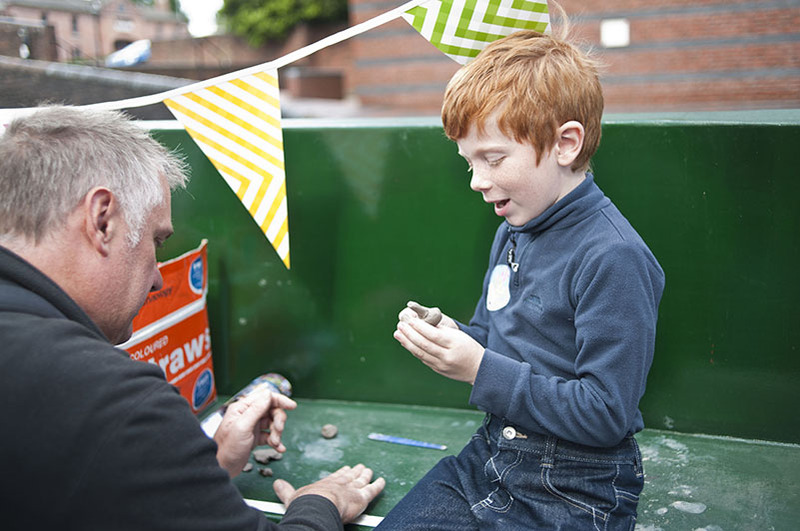 We enjoy working with people who are enthusiastic about passing on skills and learning through materials. 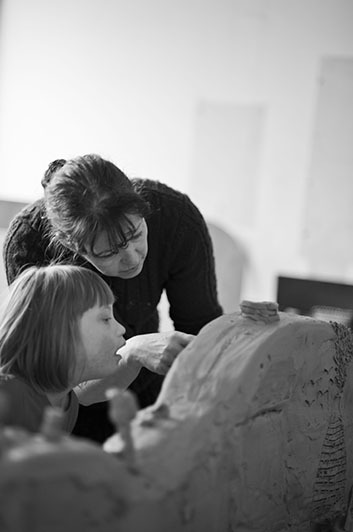 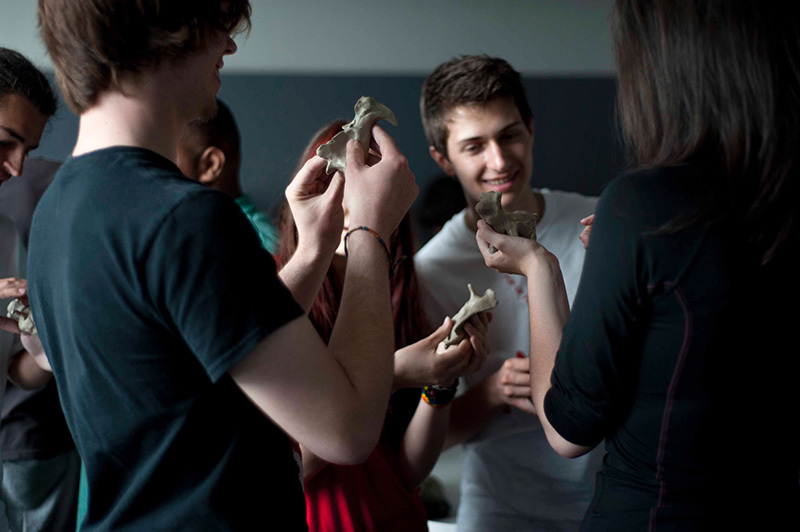 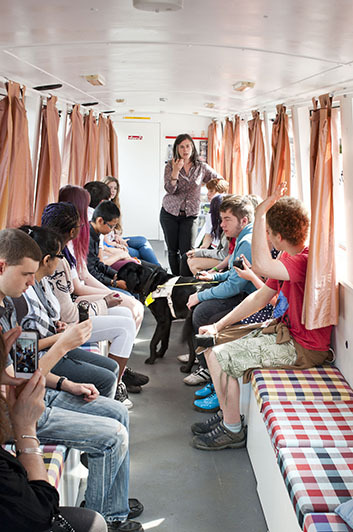 If you are an Educator and have a project you would like to discuss, please get in touch. 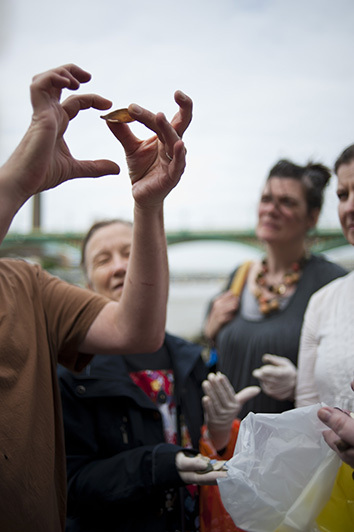 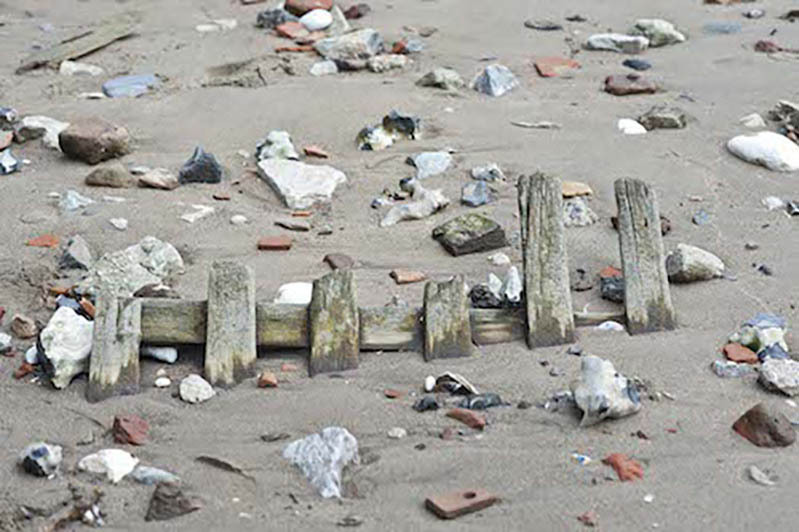 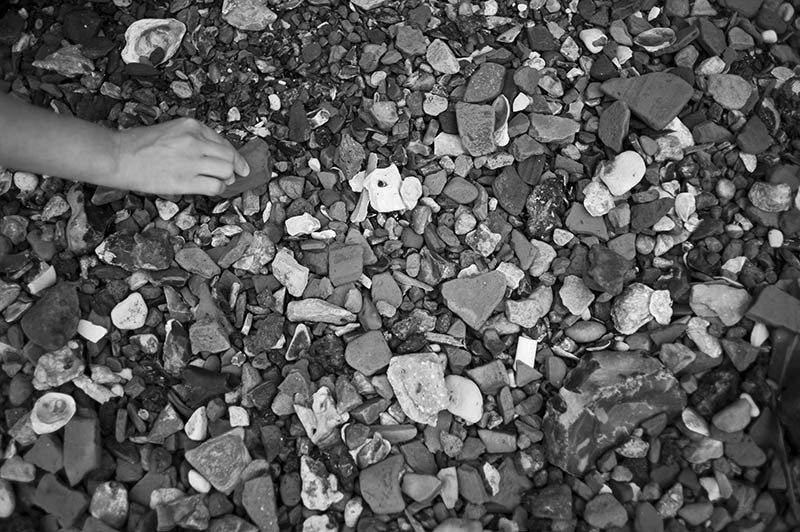 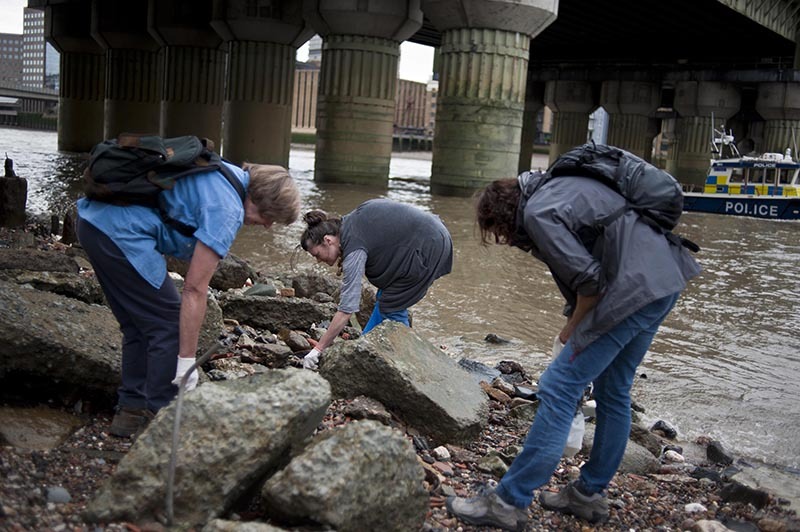 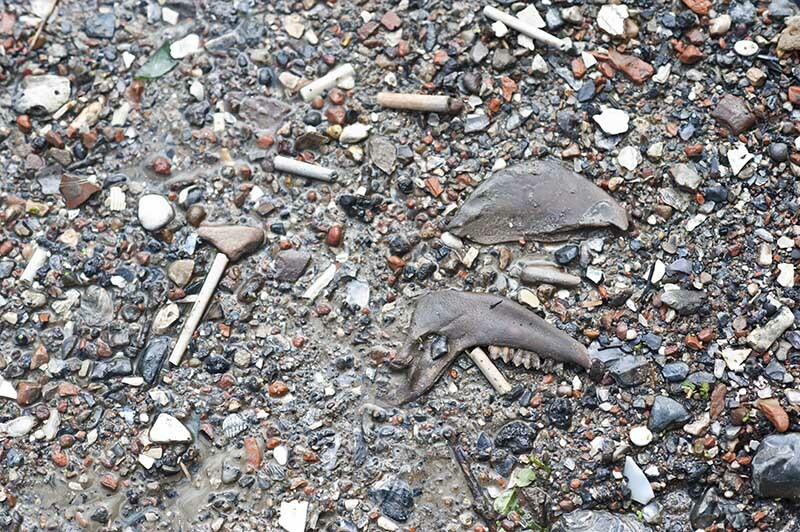 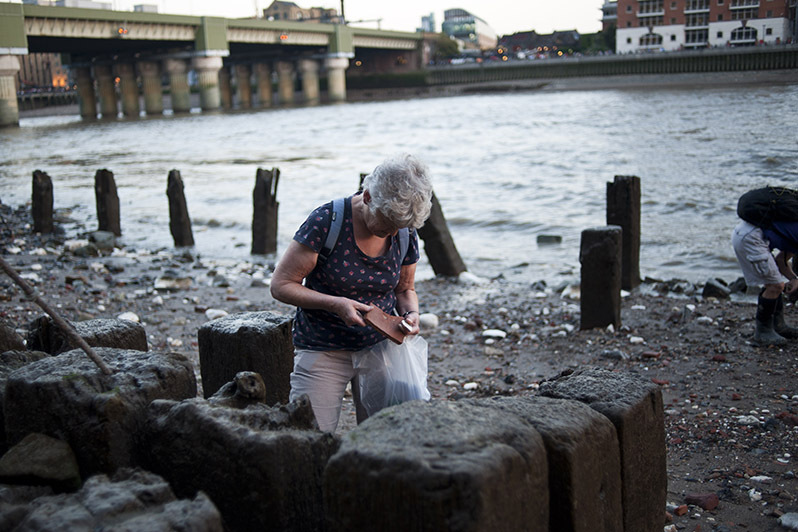 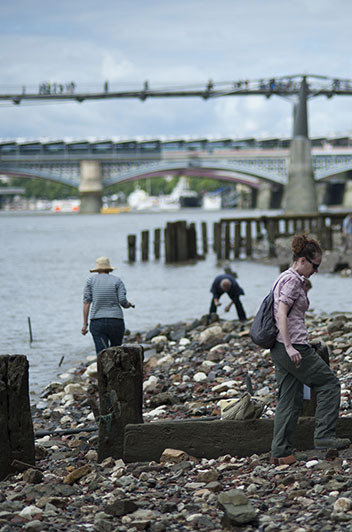 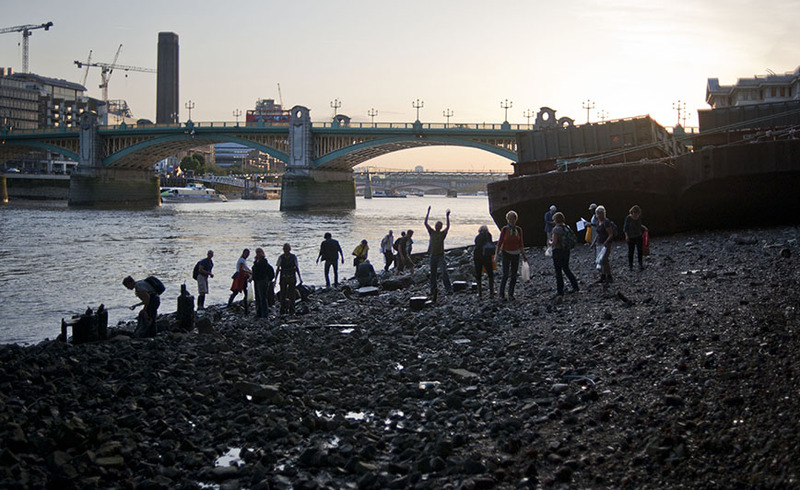 With Mike Webber, foremost Thames archaeologist, we regularly lead walks investigating ceramic fragments on the foreshore. 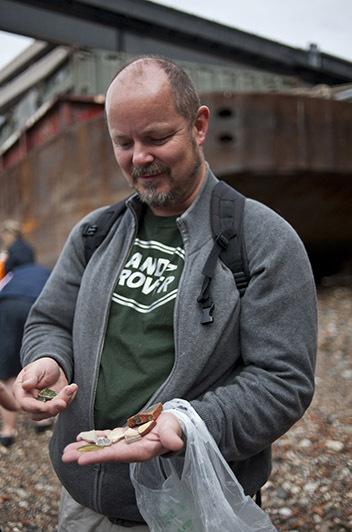 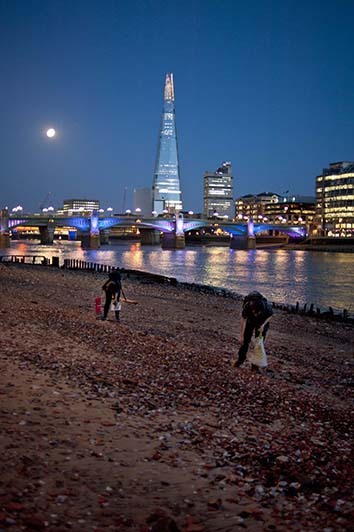 Through pottery sherds found on the beach (shard = glass; sherd = pottery) Mike illuminates the development of London, of ceramic technology, the pottery industry and international trade relations from Roman times to the present. 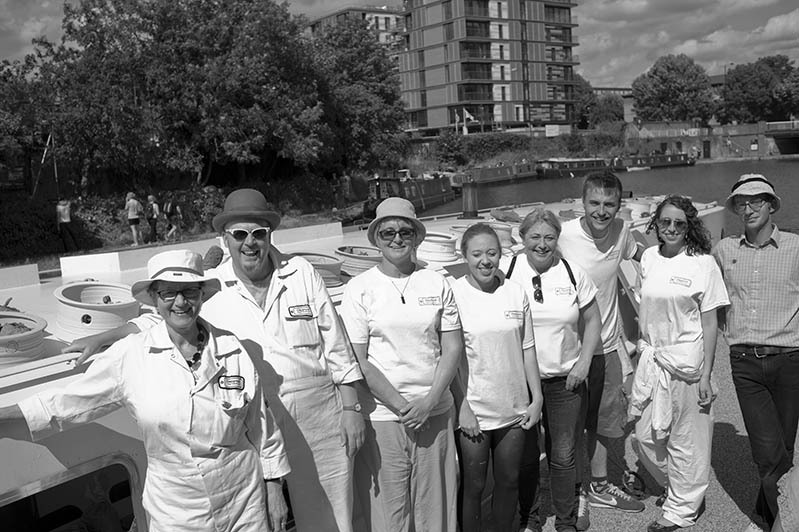 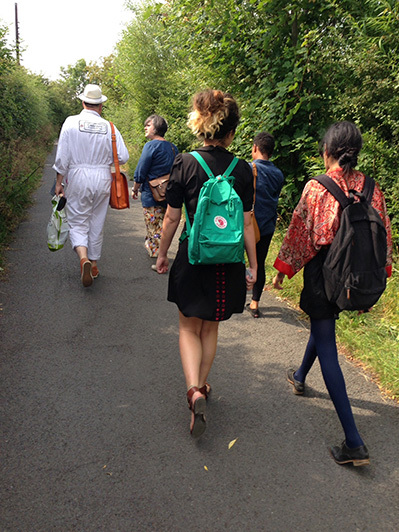 “Many thanks to you all for a really wonderful and inspiring walk on Saturday. 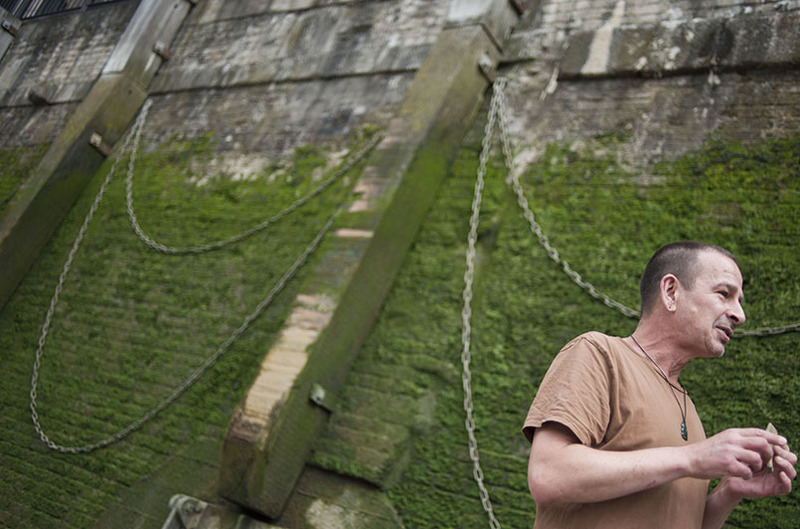 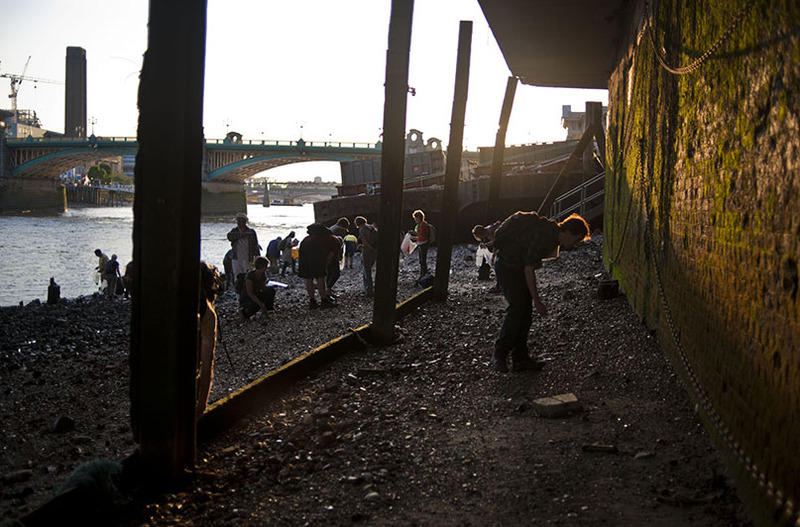 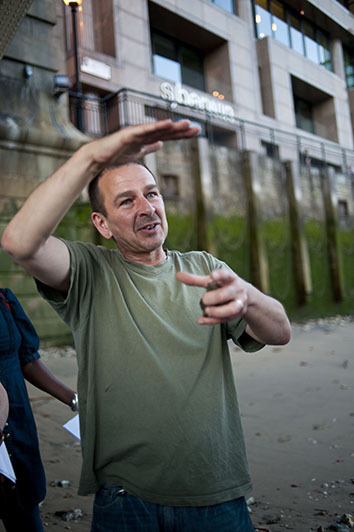 We had a brilliant time and Mike’s energy and enthusiasm were a real joy to experience!” Foreshore walker. 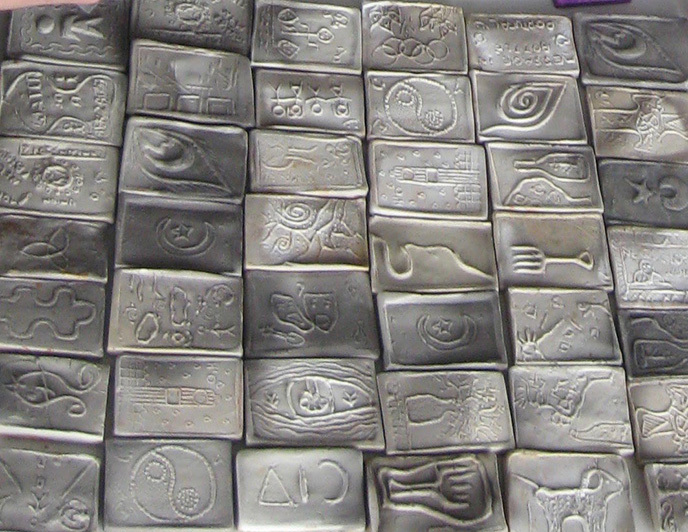 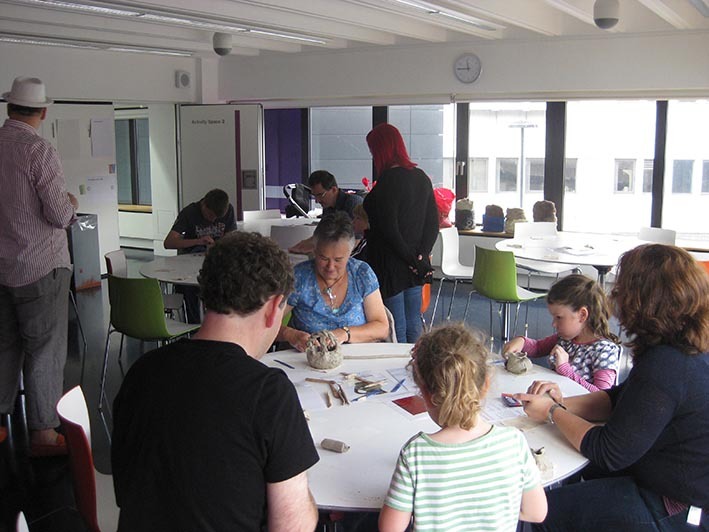 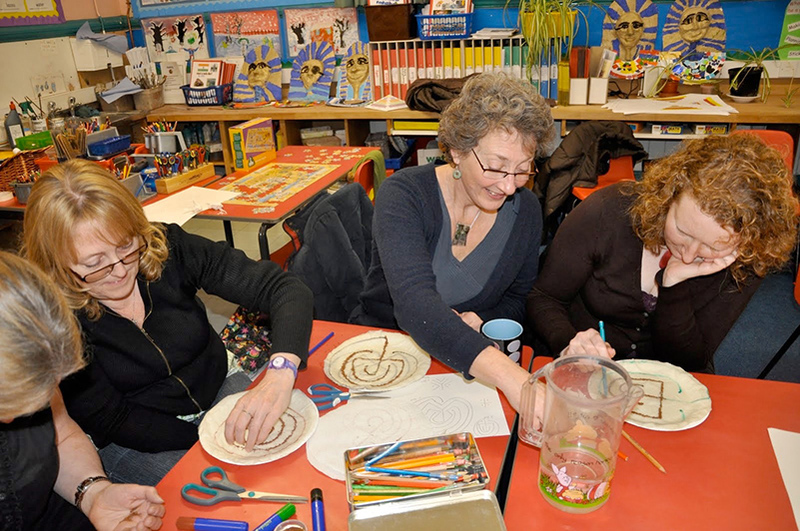 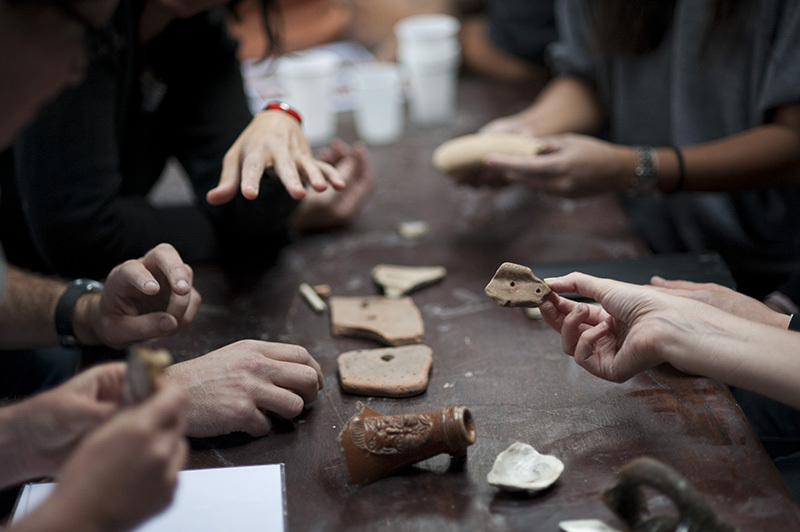 We also lead occasional workshops combining archaeology and decorative techniques such as slip trailing, stamp making and rouletting. 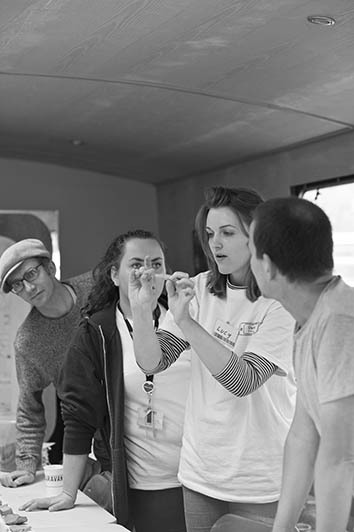 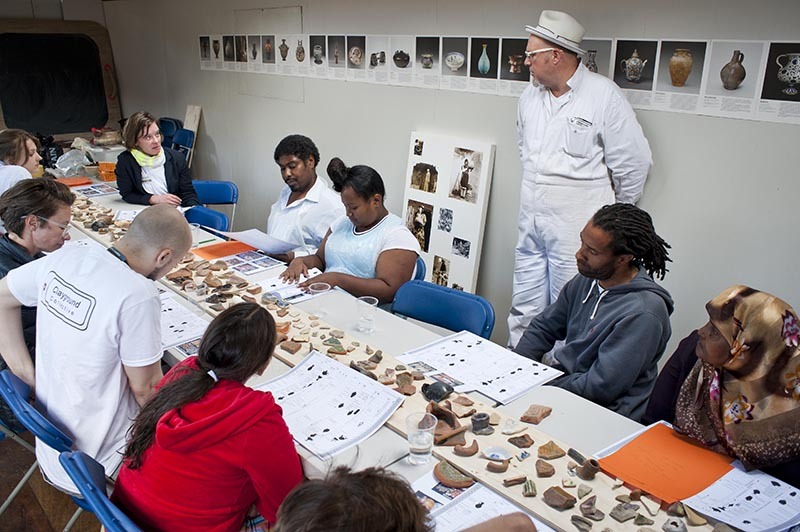 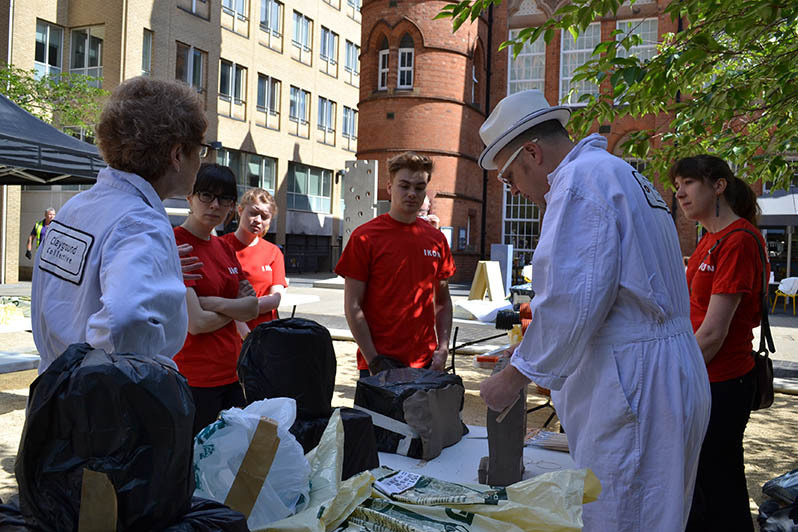 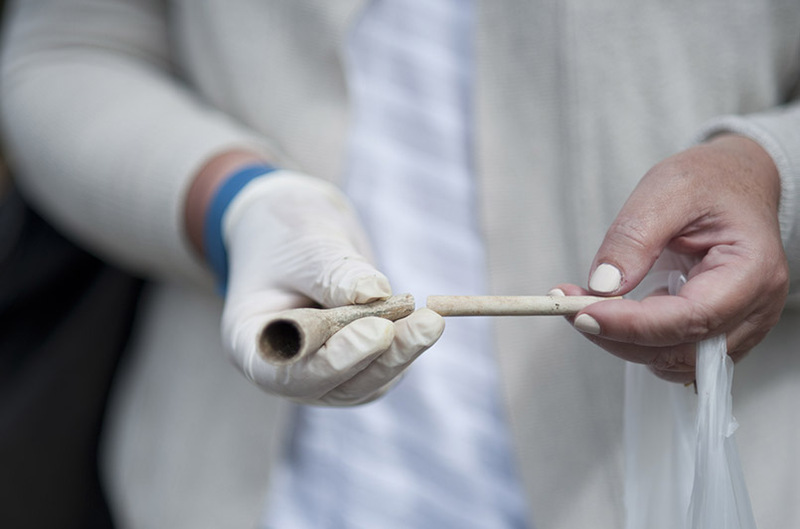 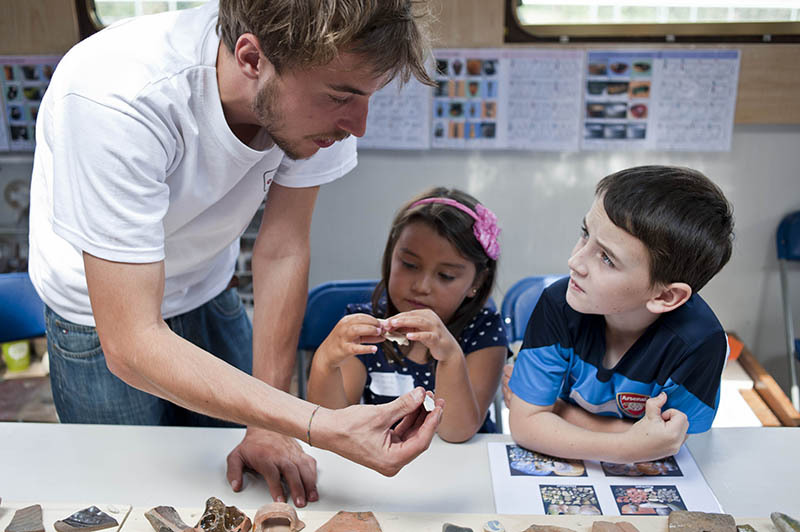 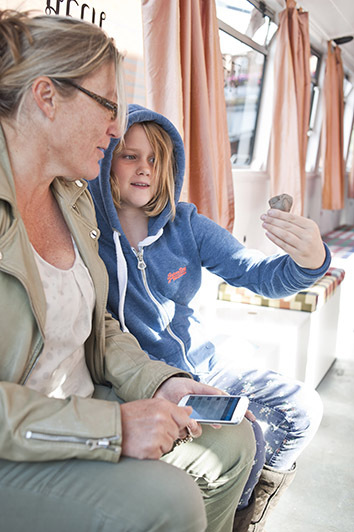 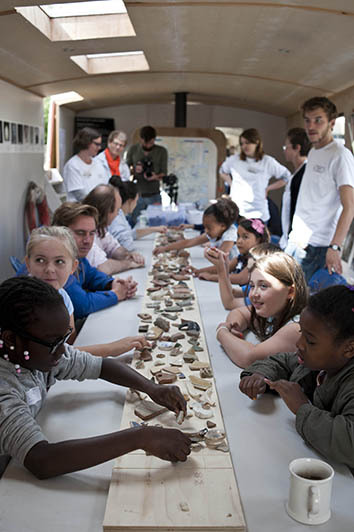 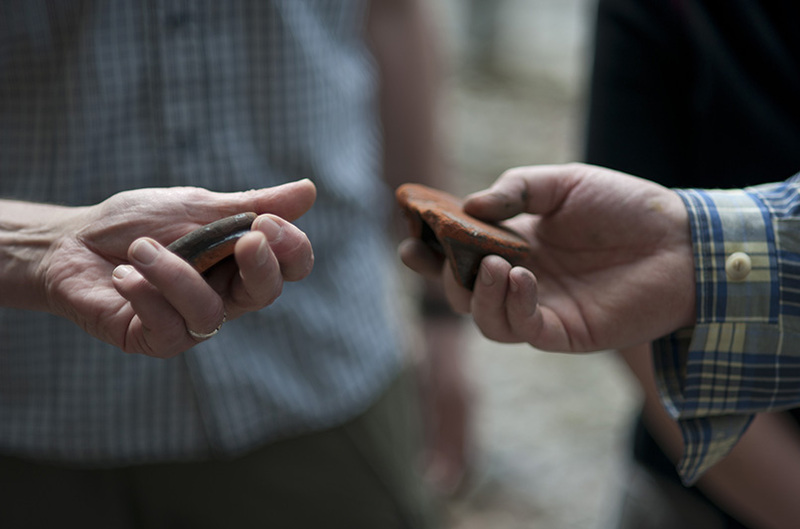 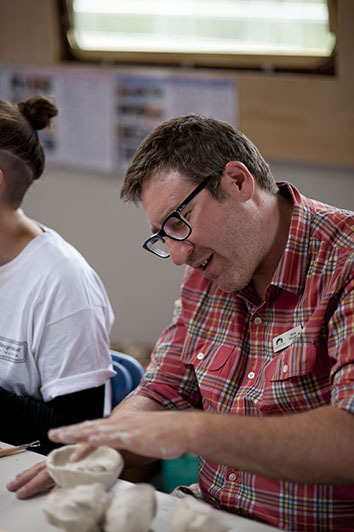 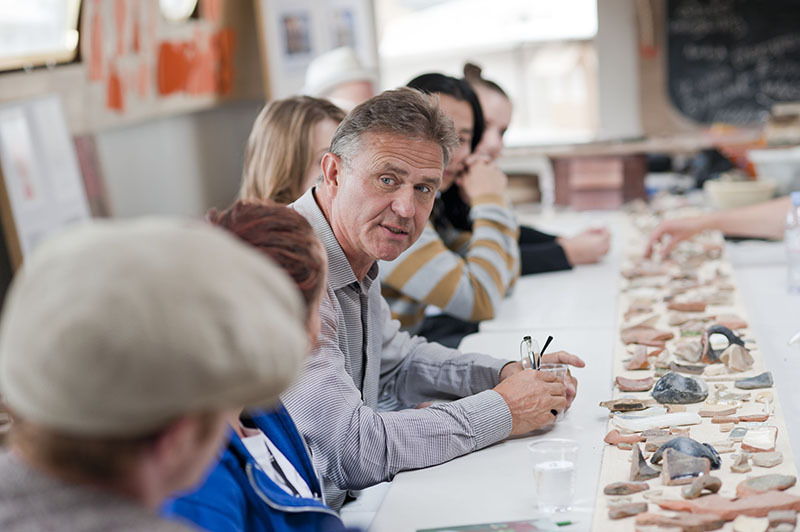 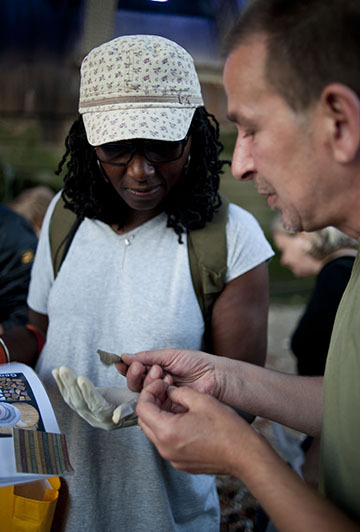 “Rouletting – it’s timeless – I wouldn’t have thought of it having Roman connections” “Amazing how far we’ve got really – and now we are looking at skills we’ve lost” Roman archaeology workshop participant. 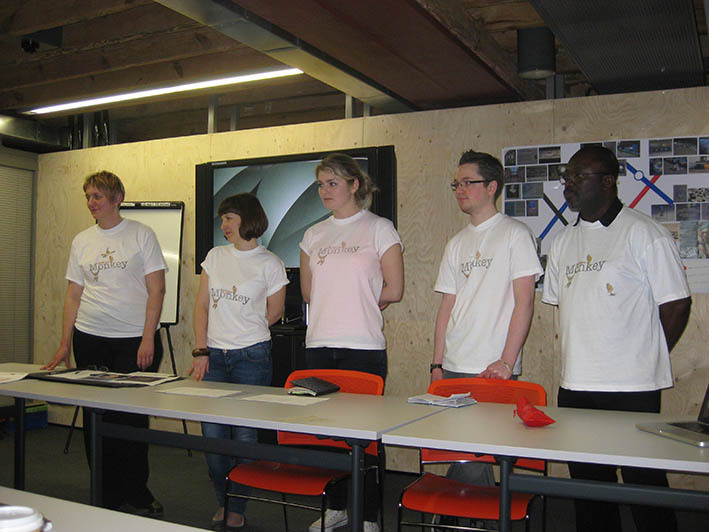 “Great experience for a wide audience – both I (a creative) and my partner (technical marketing professional) thoroughly enjoyed it. 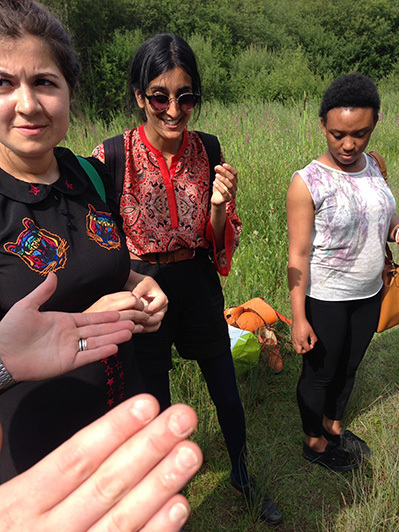 We learnt practical techniques and historical/ scientific knowledge. 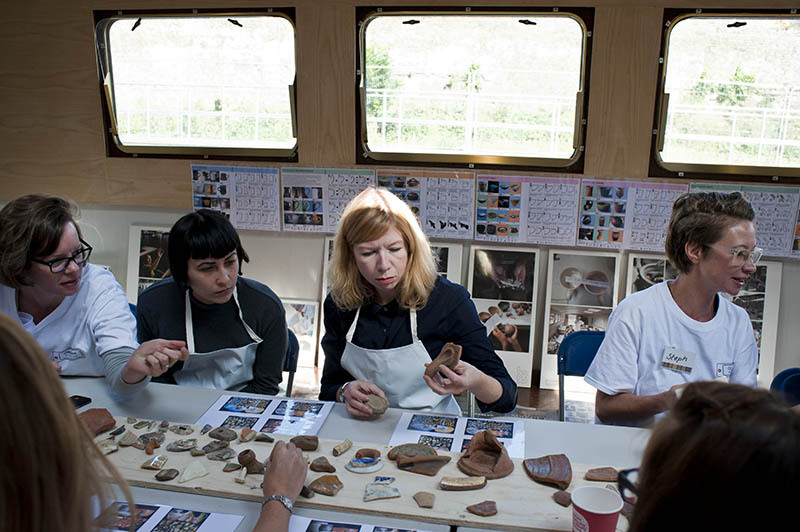 A great team, successfully included people from all walks of life and age groups” Roman archaeology workshop participant. 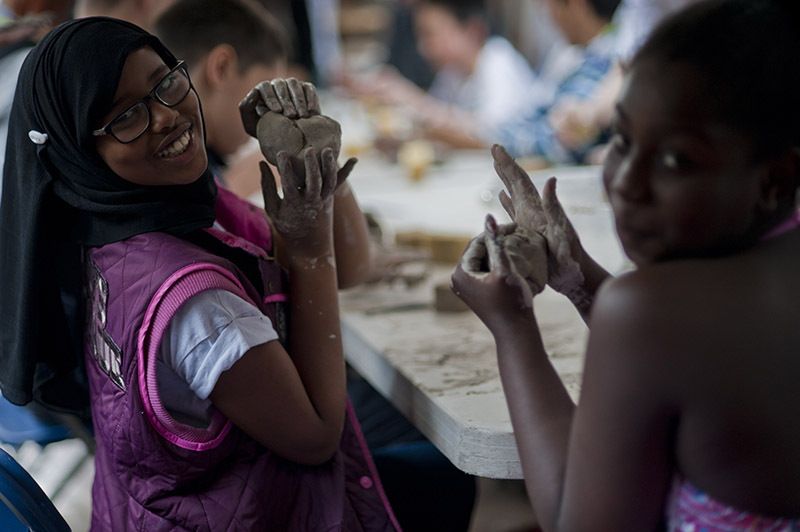 Clayground leads skills workshops and creative projects with children from 8 upwards, young people and adult community groups. 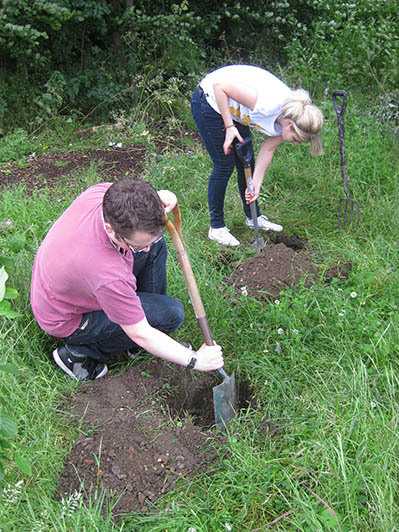 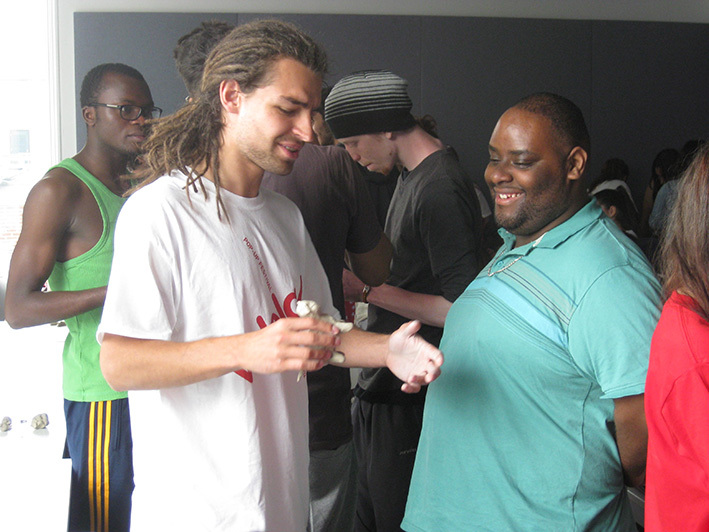 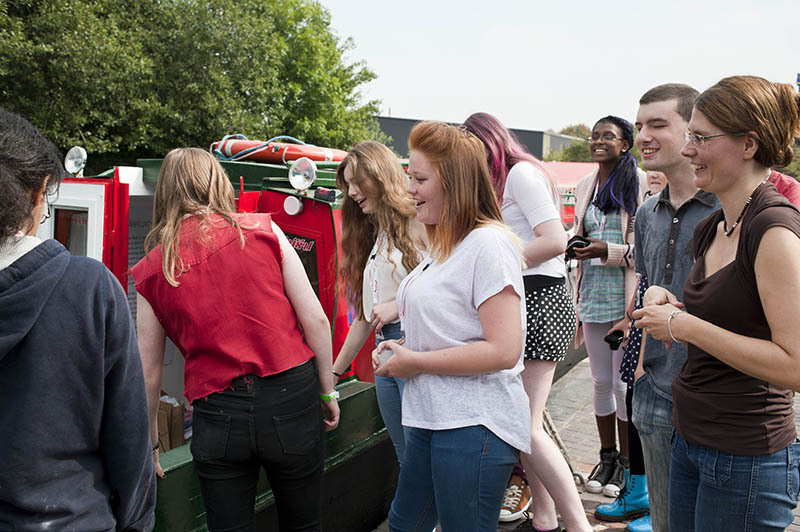 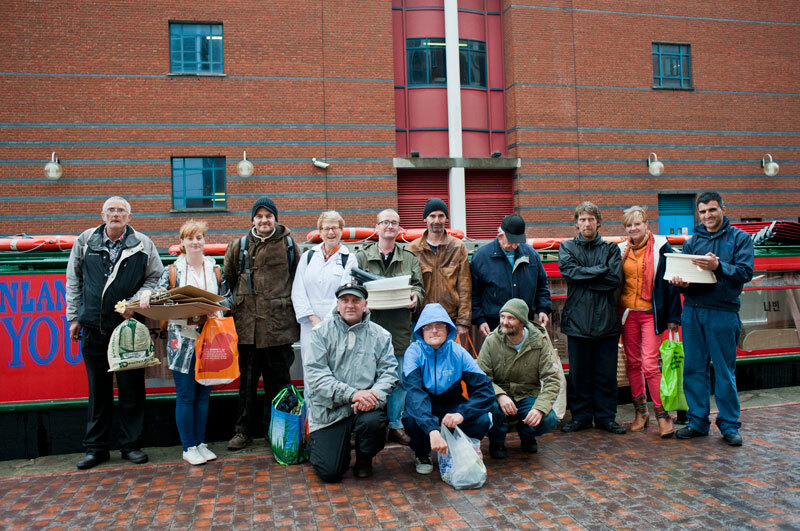 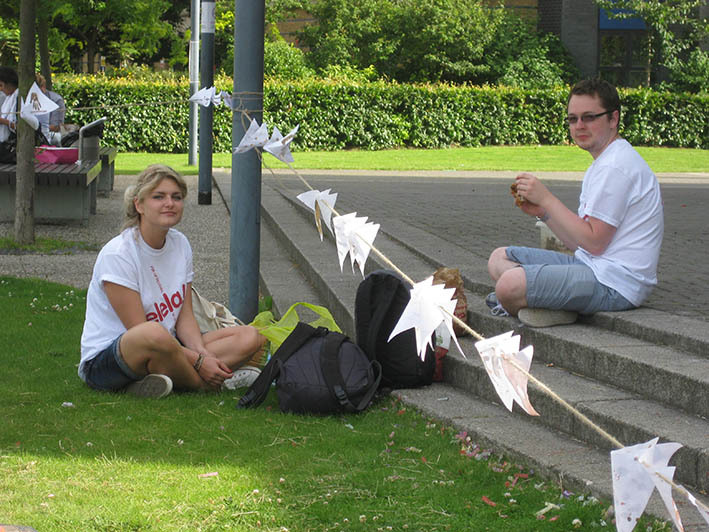 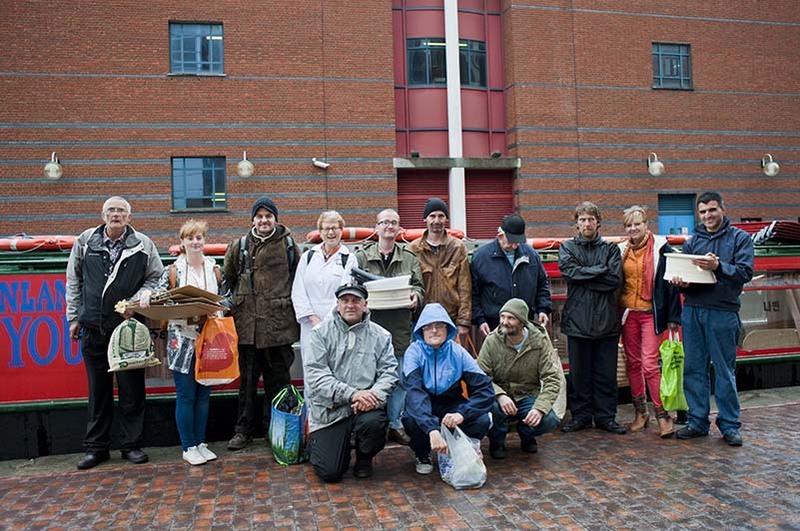 We work solely with institutions and youth group co-ordinators, rather than individual young people. 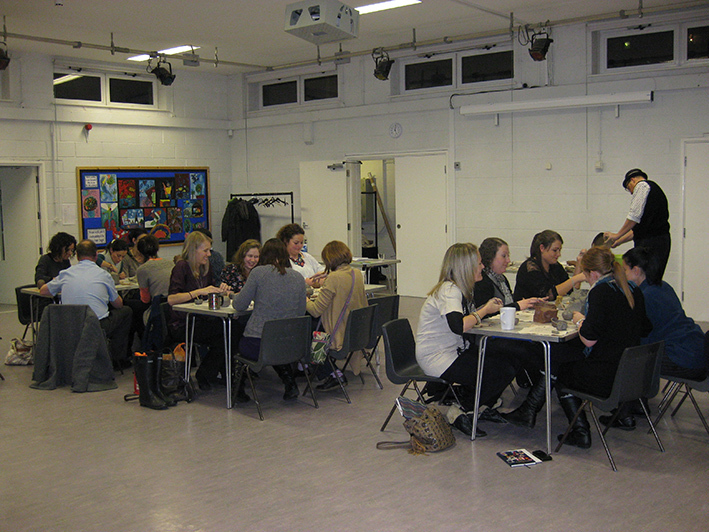 Camden Libraries reader and learner development groups. 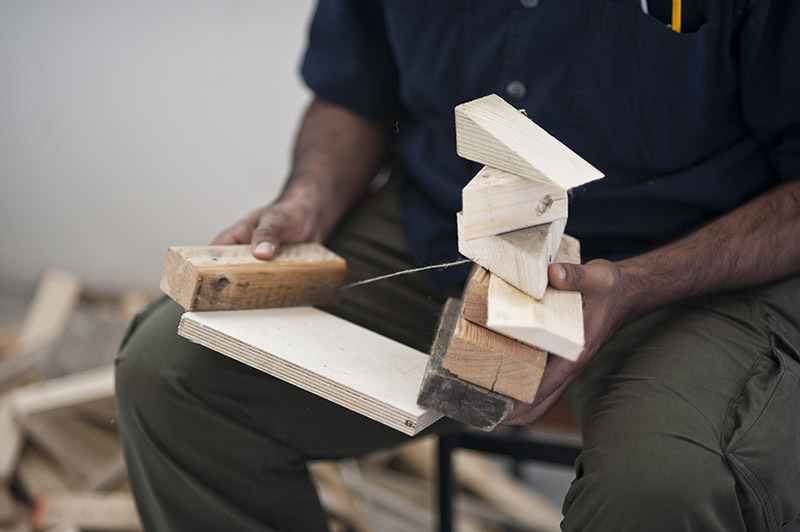 “There are things we can all learn as craftsmen from other craftsmen in other areas that help us see our own craft differently. 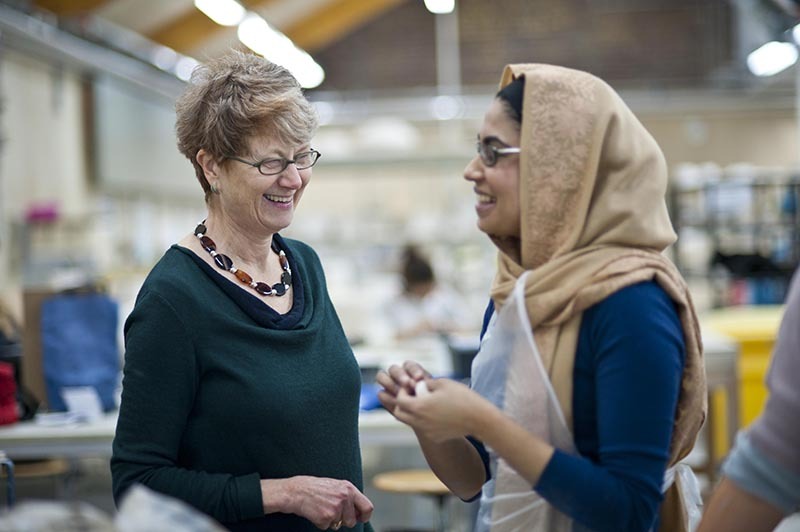 That’s what excites me so much about looking at these parallels.” Roger Kneebone, Professor of Surgical Education, Imperial College, Wellcome Trust Engagement Fellow. 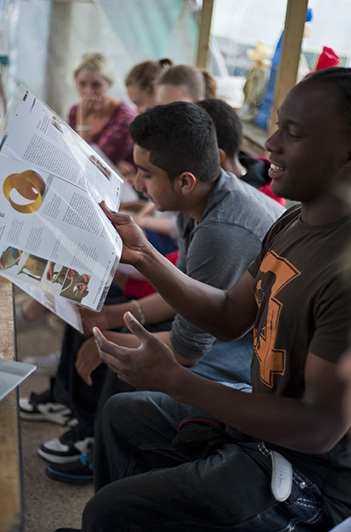 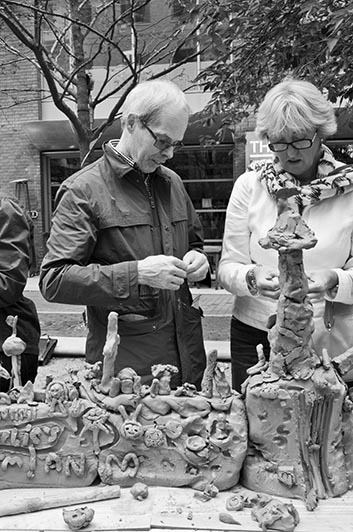 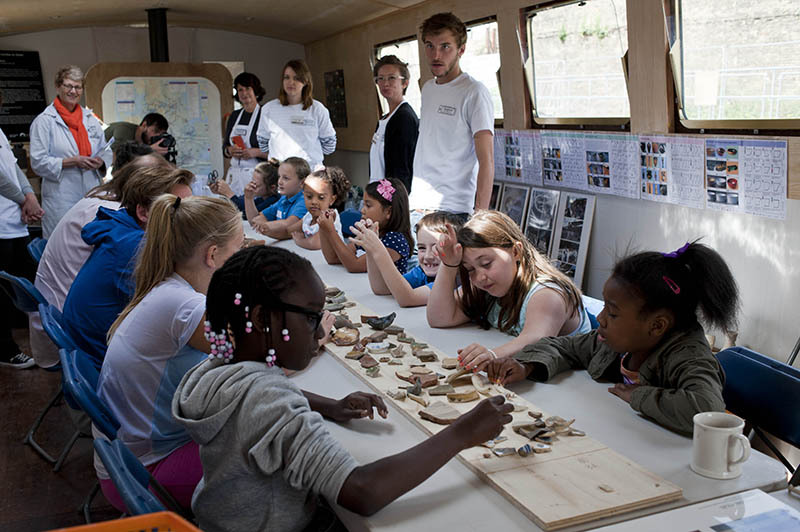 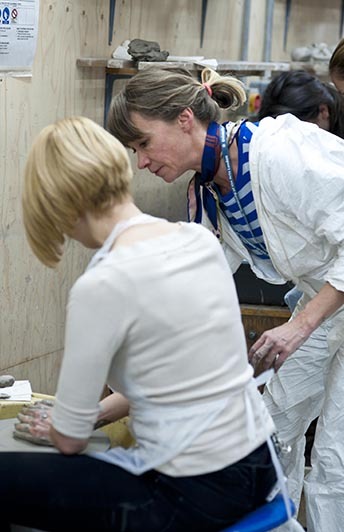 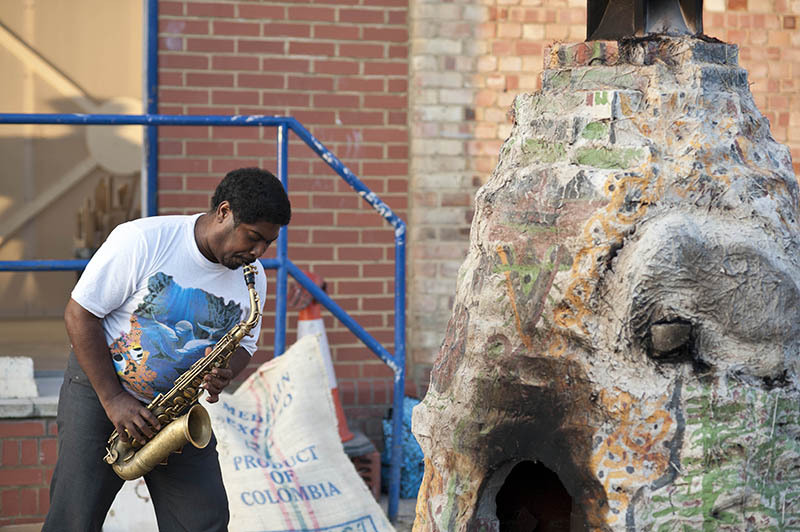 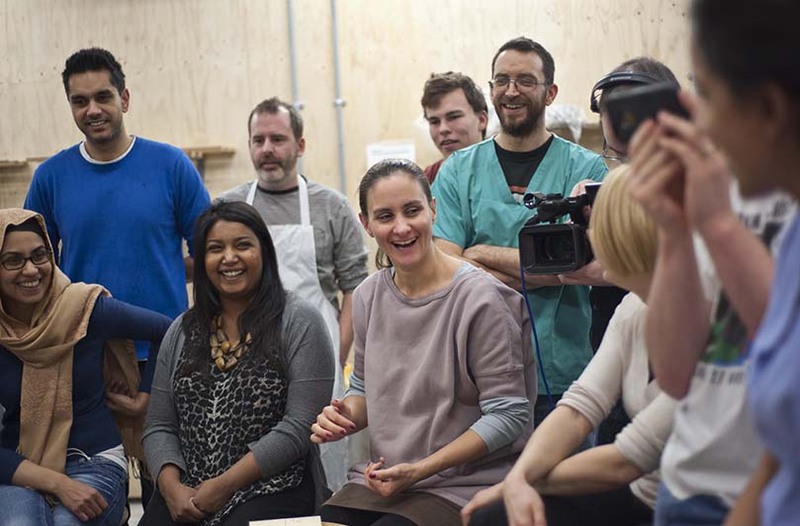 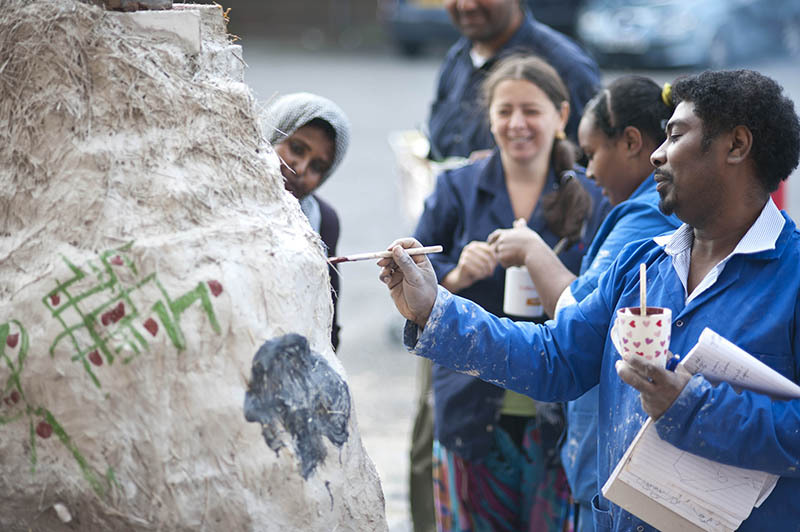 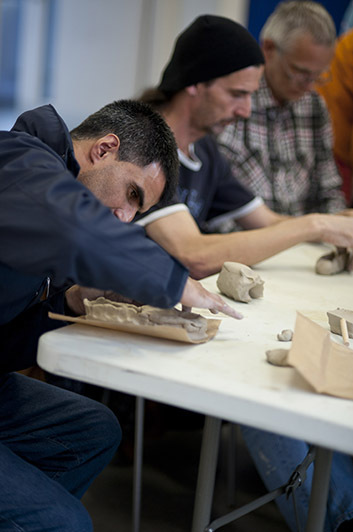 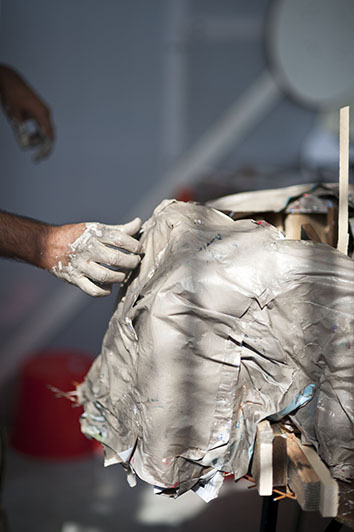 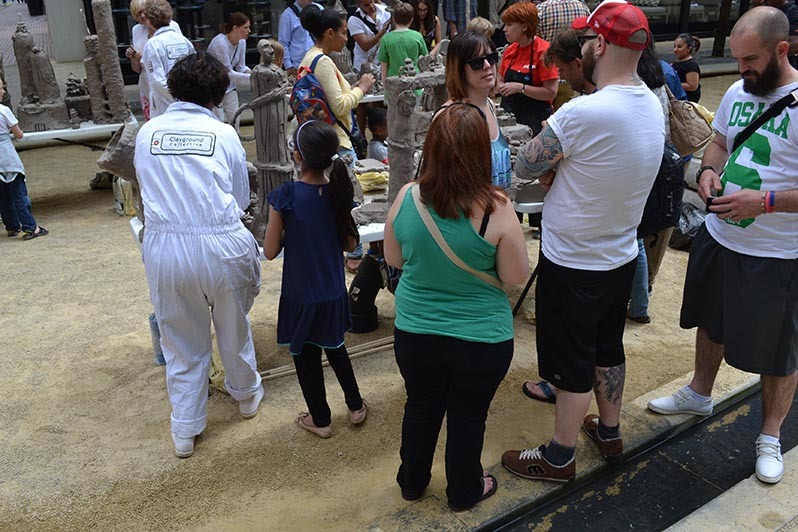 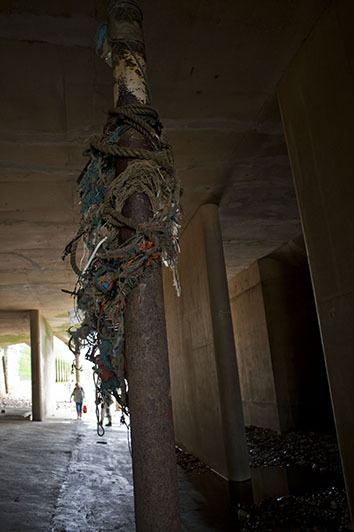 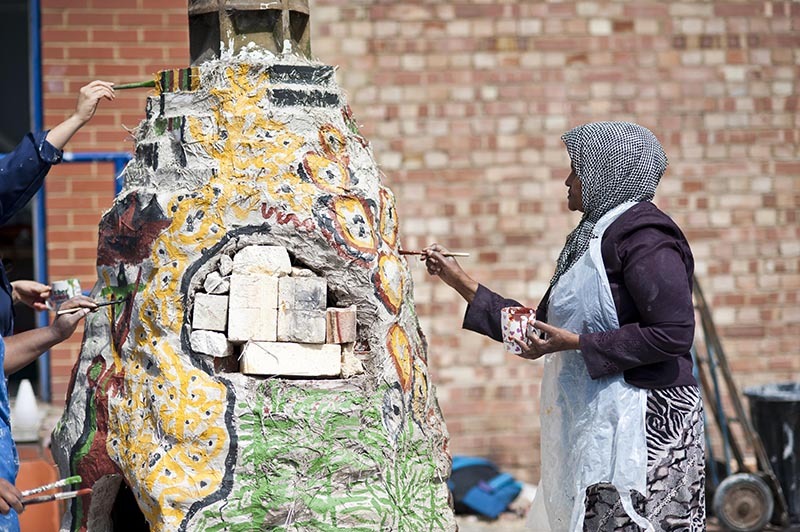 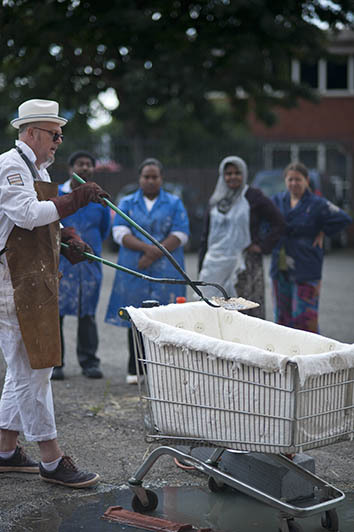 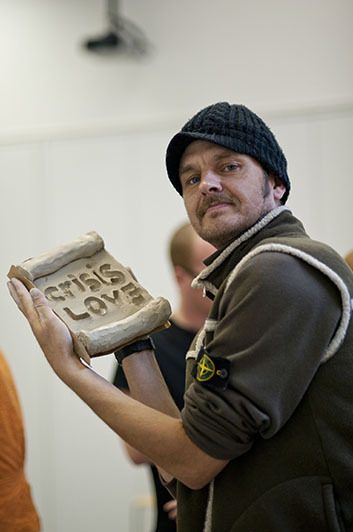 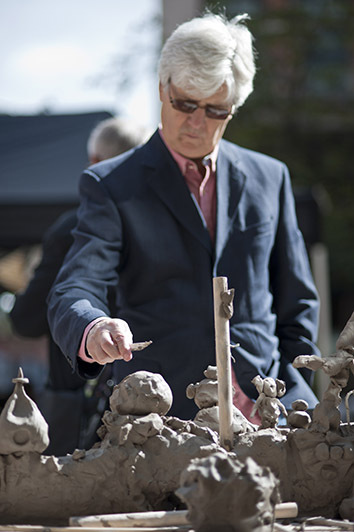 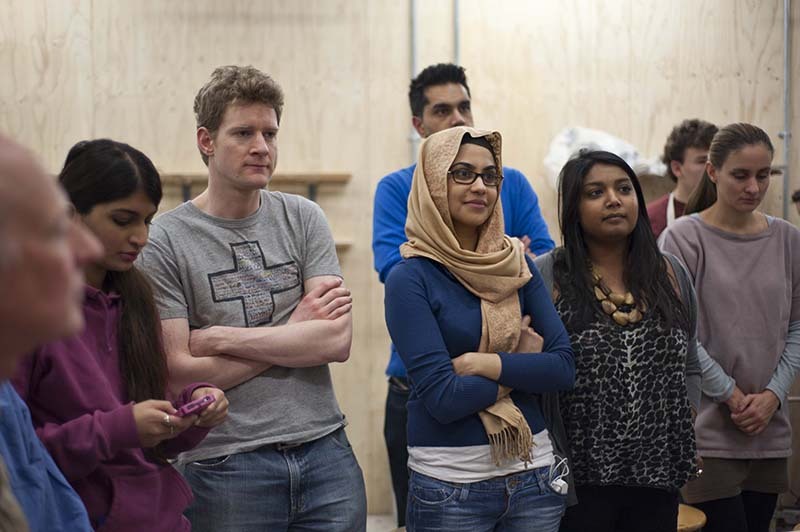 Crisis London in partnership with London Sculpture Workshop at the Bermondsey Project. 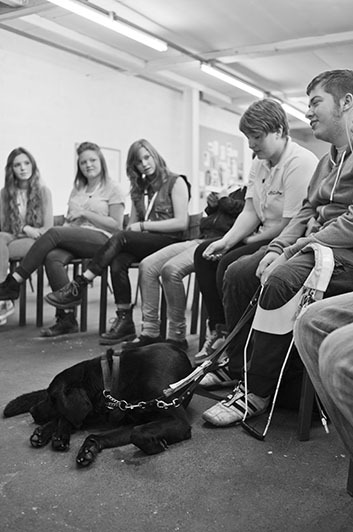 LOOK support group for visually impaired young people and their families working with students from Birmingham Ormiston Academy. 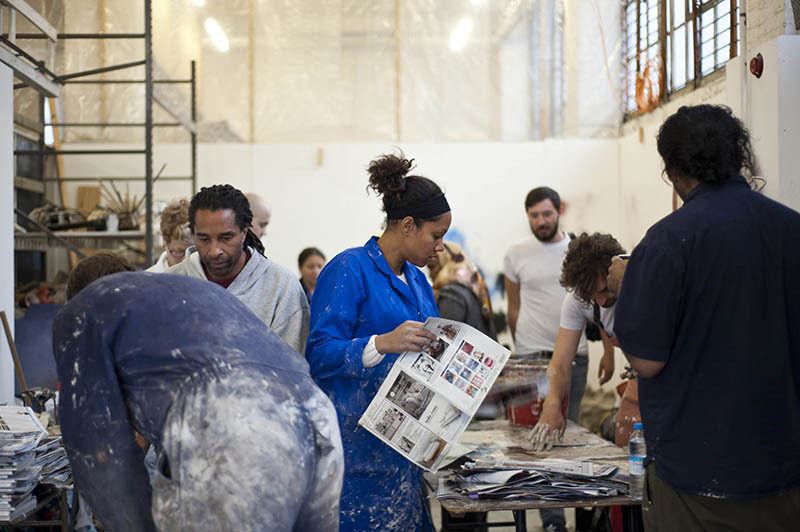 An opportunity to work with London Sculpture Workshop and Crisis Skylight Art Group in London enabled us to create a course for Crisis members and other students. 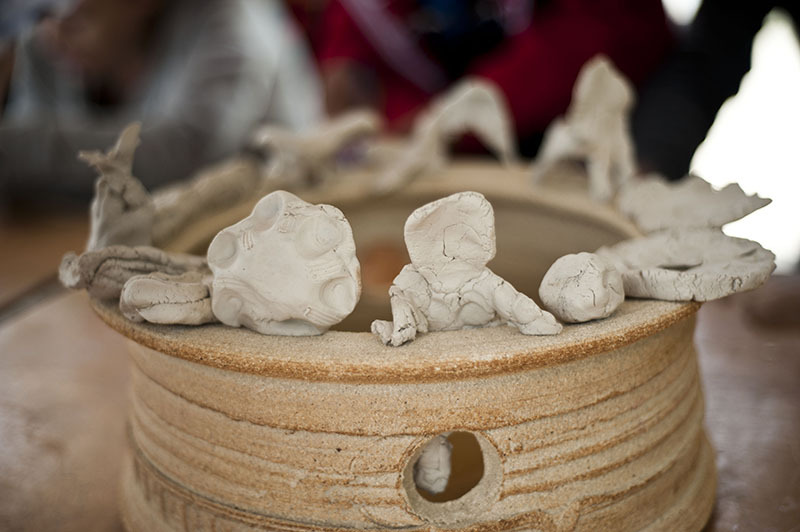 This was in experimental kiln construction as a focus for community celebration. 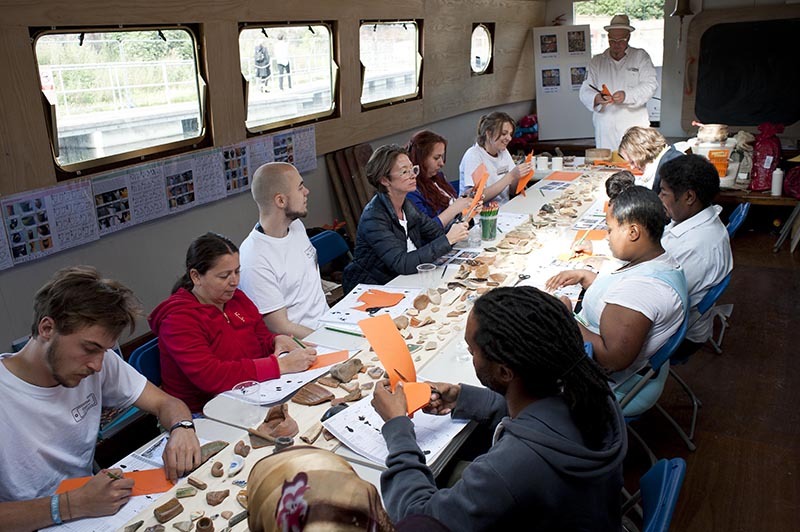 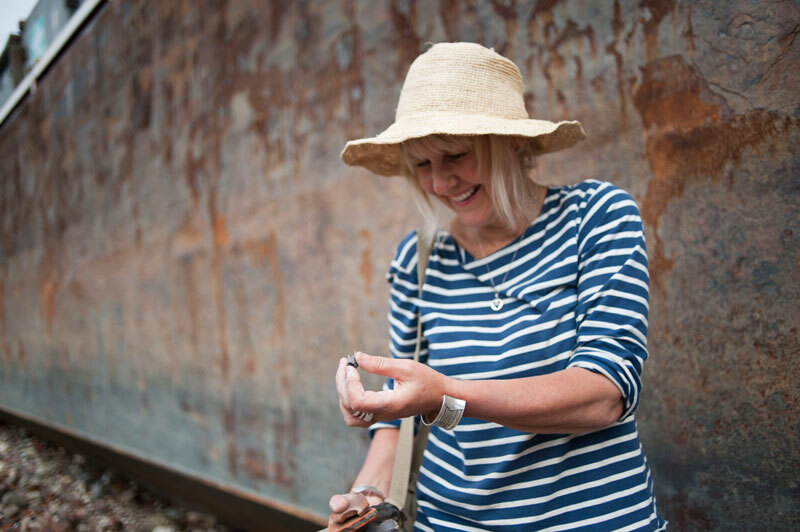 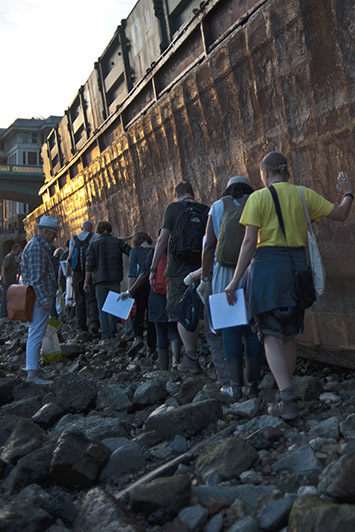 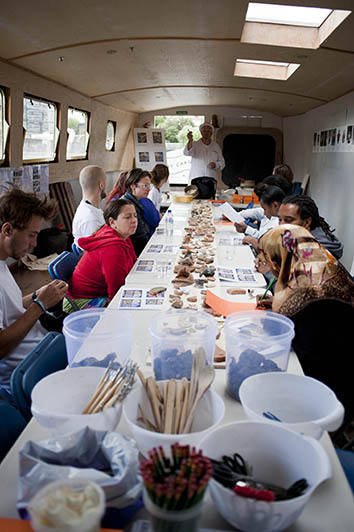 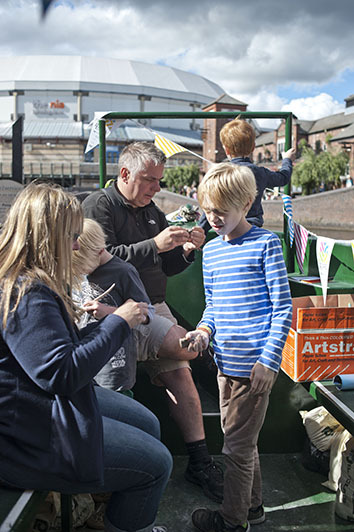 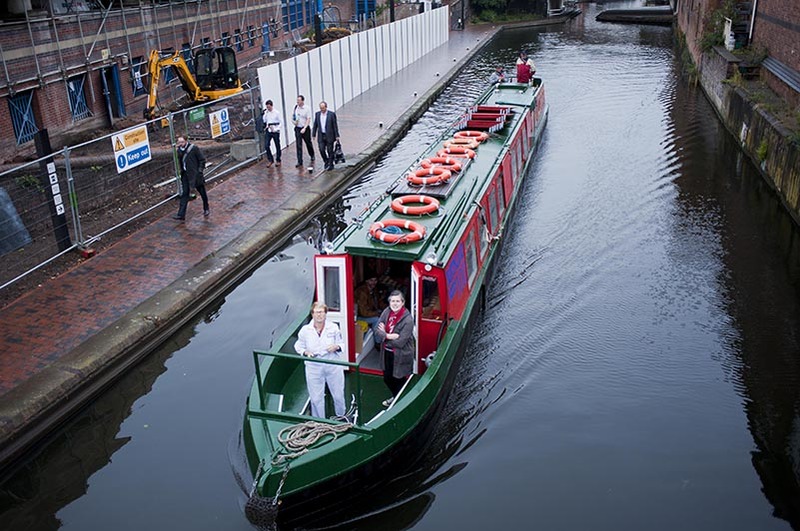 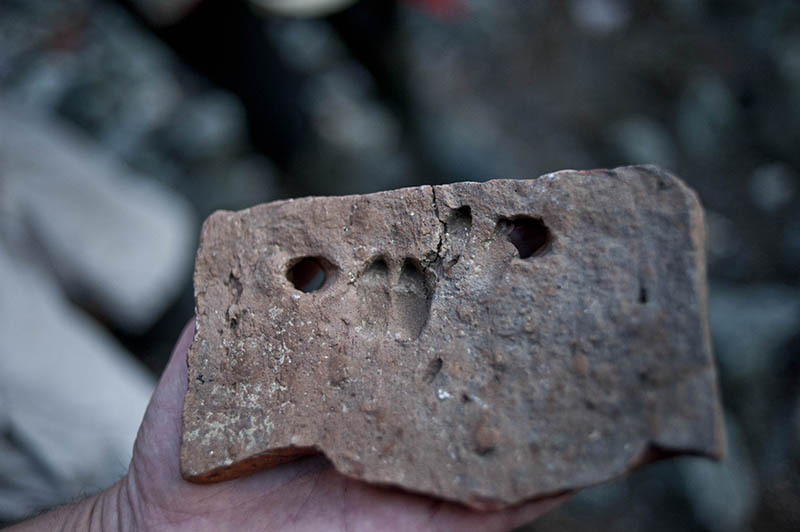 The course was in three parts: making objects in clay aboard the Clay Cargo canal boat; constructing many kinds of kilns, from paper, shopping trolleys, bricks and ceramic fibre; leading a community celebration through firing of kilns. 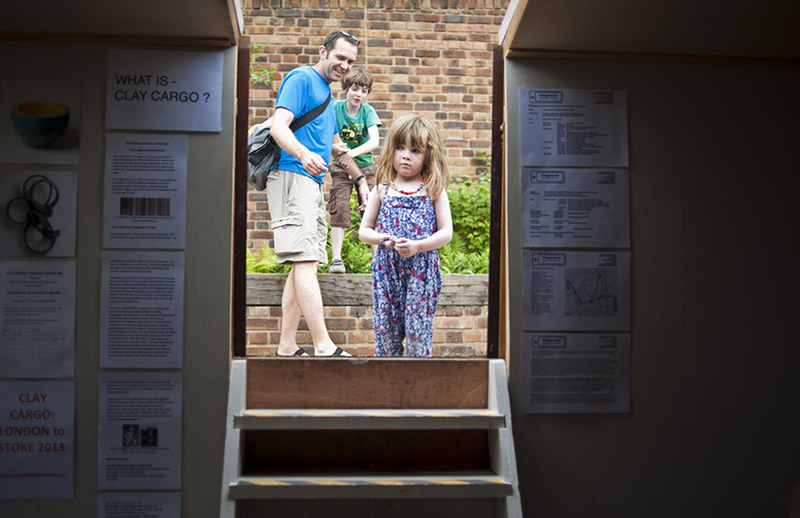 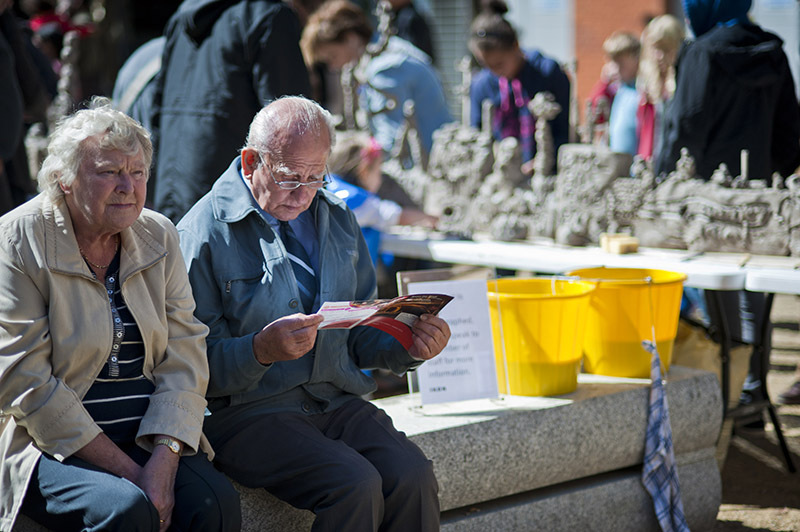 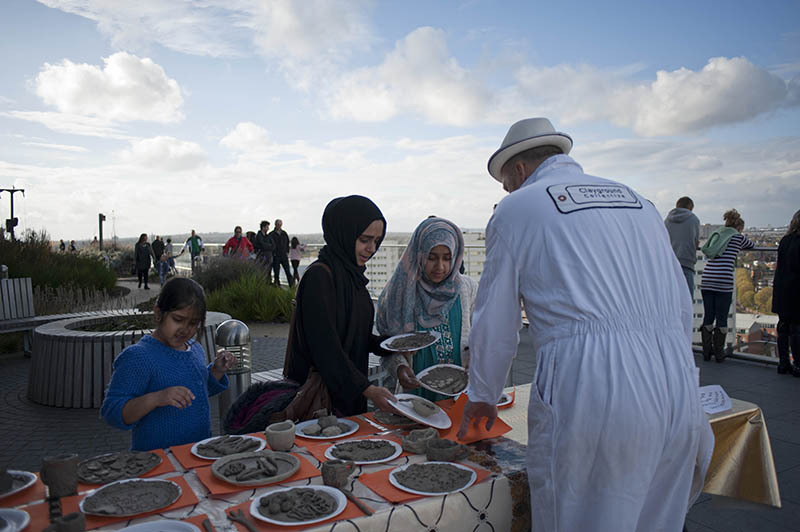 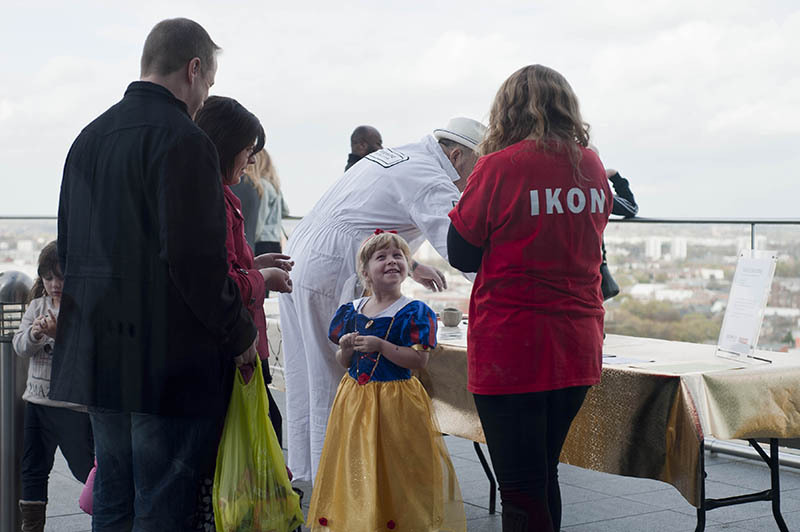 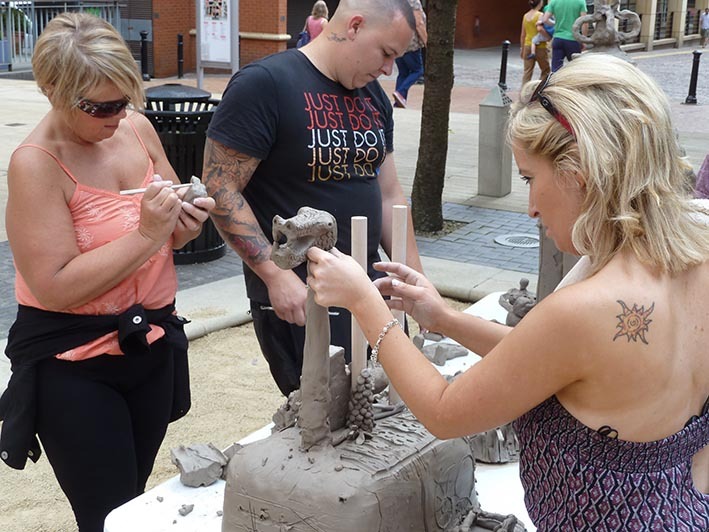 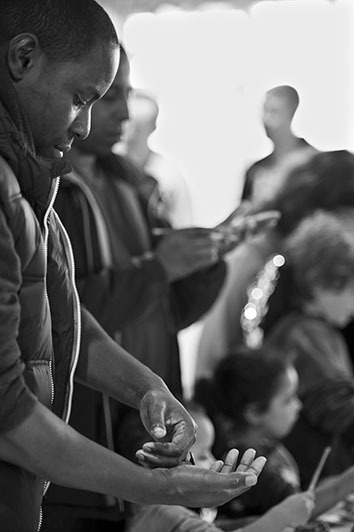 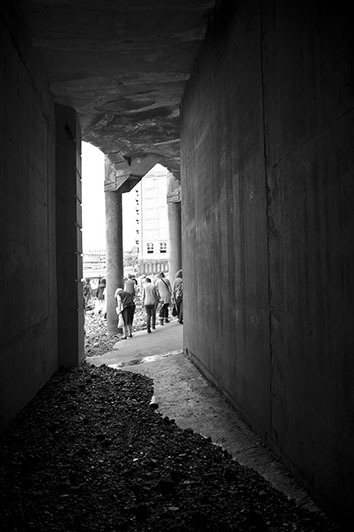 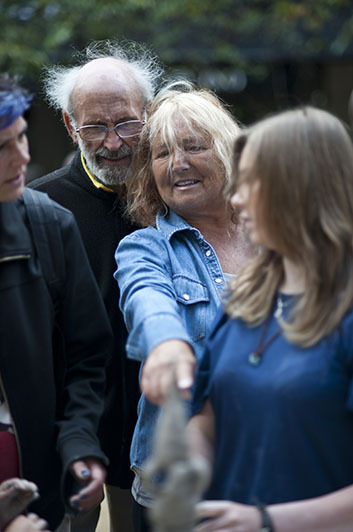 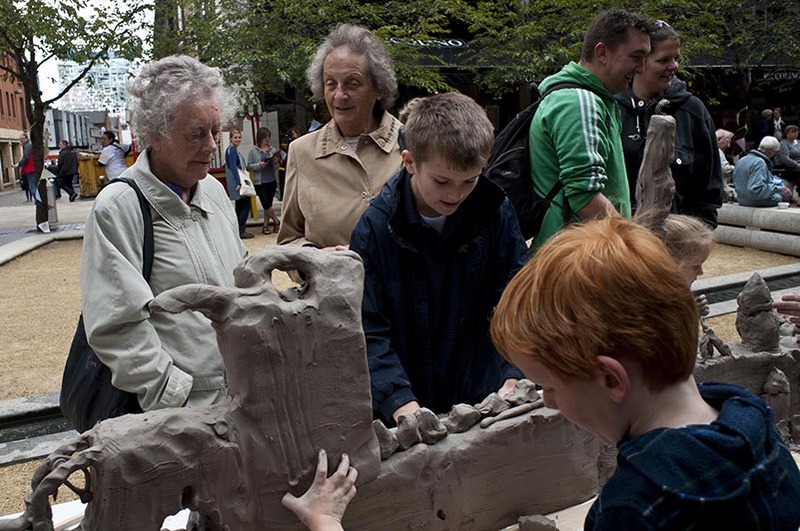 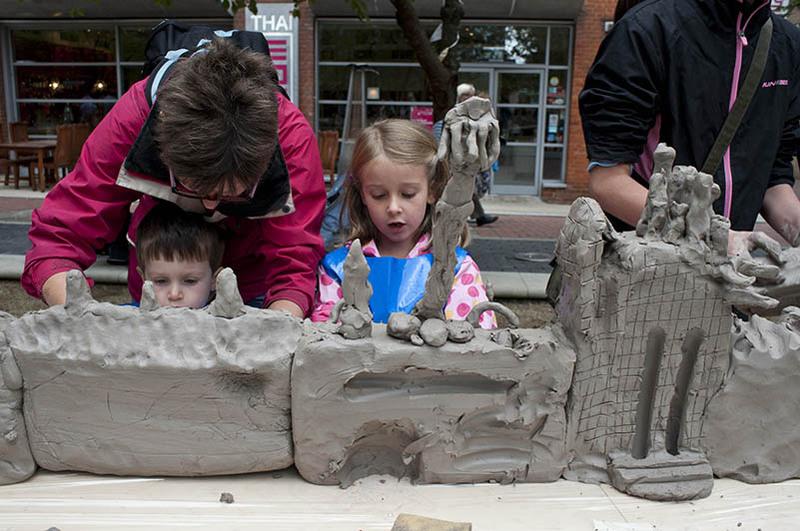 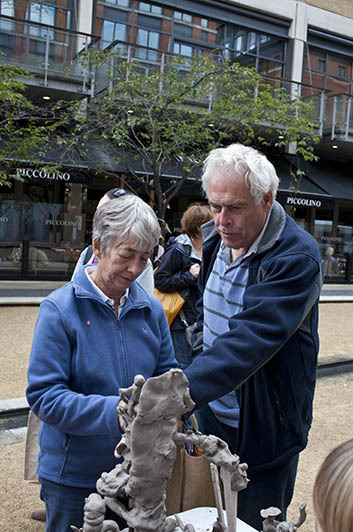 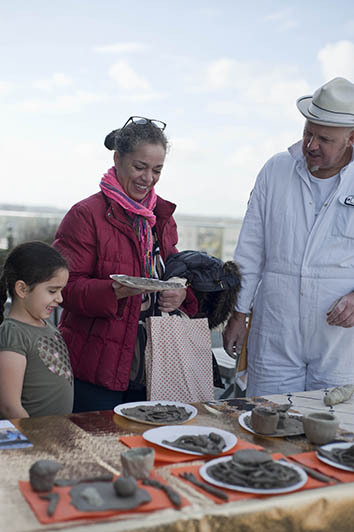 Clayground’s public events and installations bring together people from different cultures and generations. 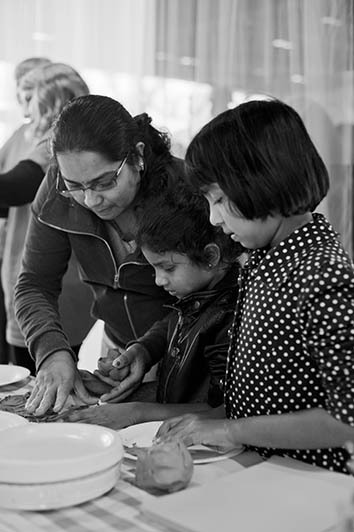 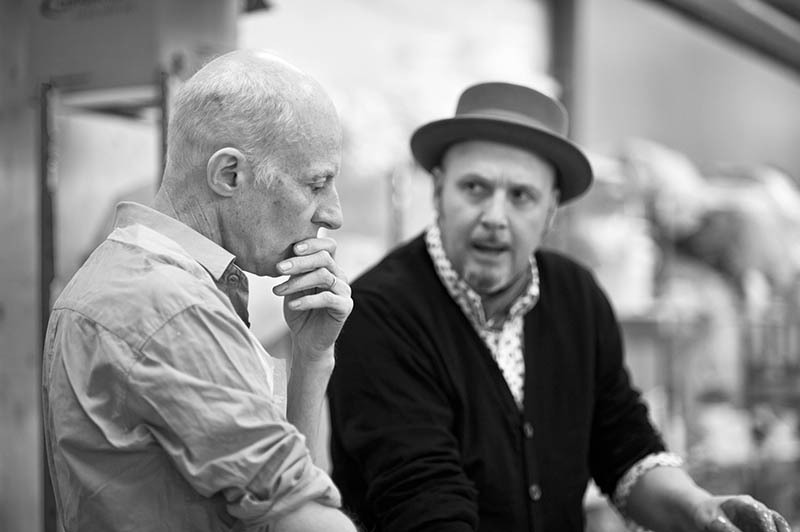 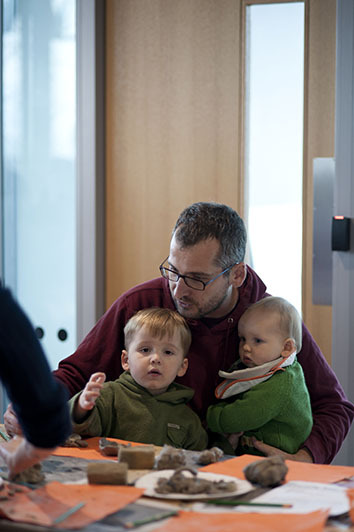 Three generations are often seen working together. 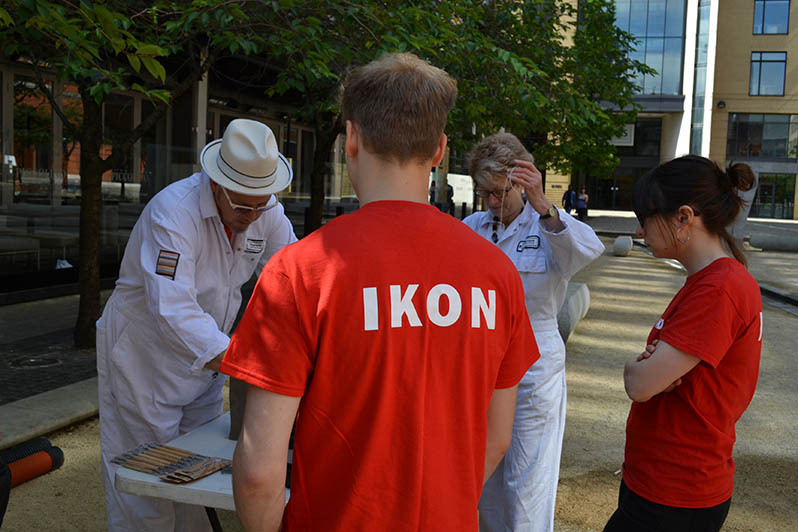 We have staged events in Birmingham with Ikon to celebrate opening of the new City Library;to mark the unveiling of a new public artwork; to celebrate Birmingham’s architecture with RIBA; to explore a rural site with Ikon at Saltwells Nature Reserve, Dudley; to get hands-on with collections with Museum of London; to explore Stoke’s industrial heritage at Middleport Pottery. 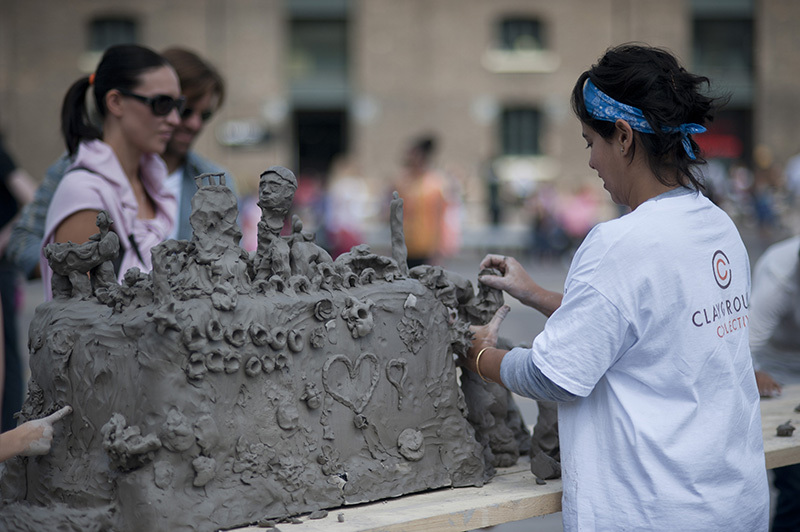 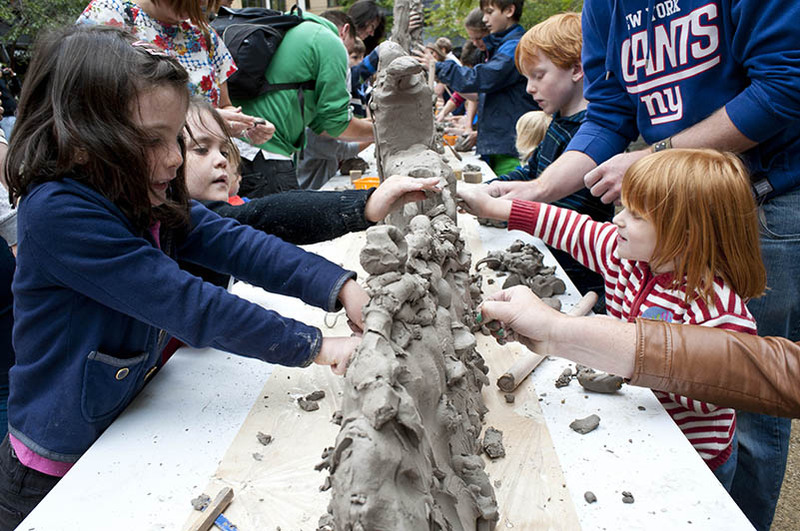 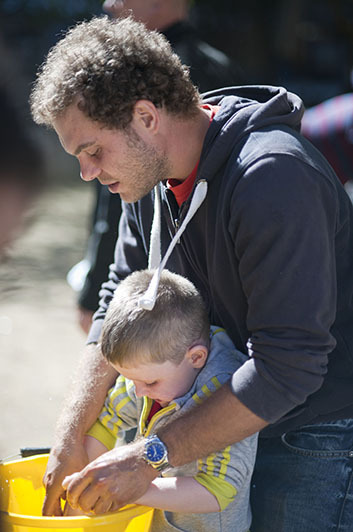 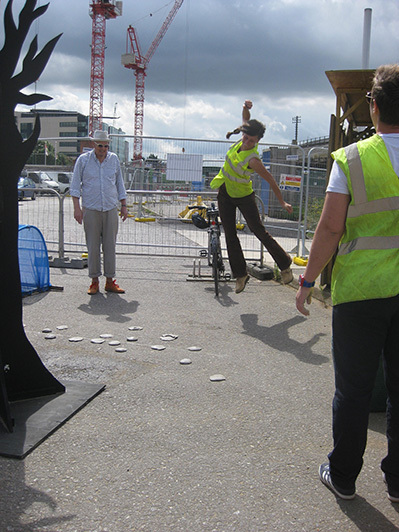 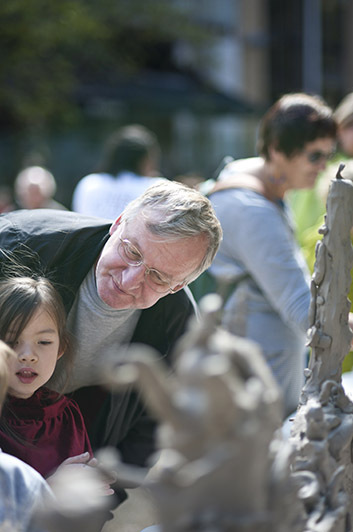 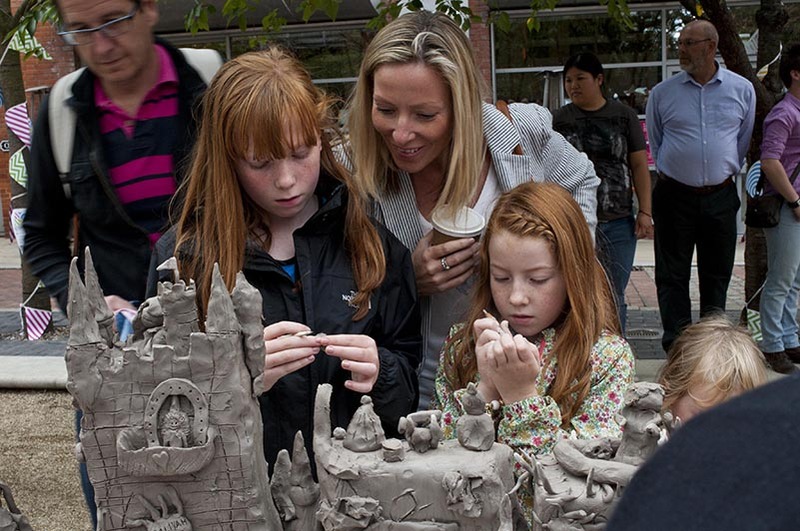 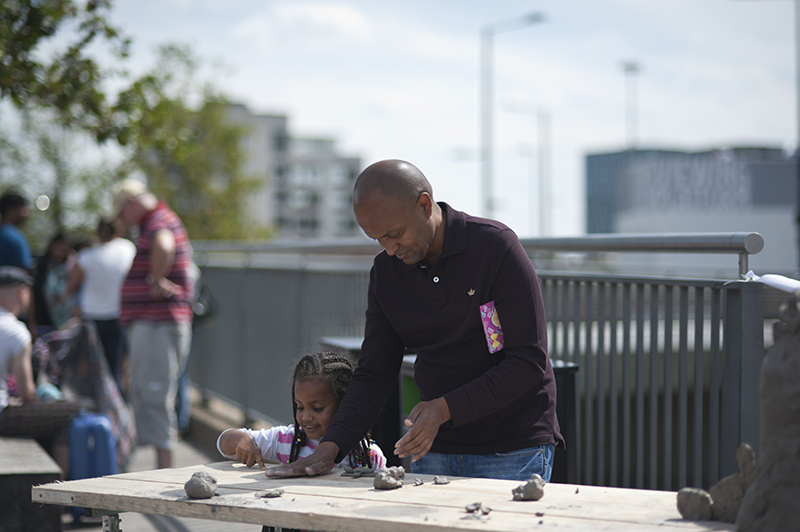 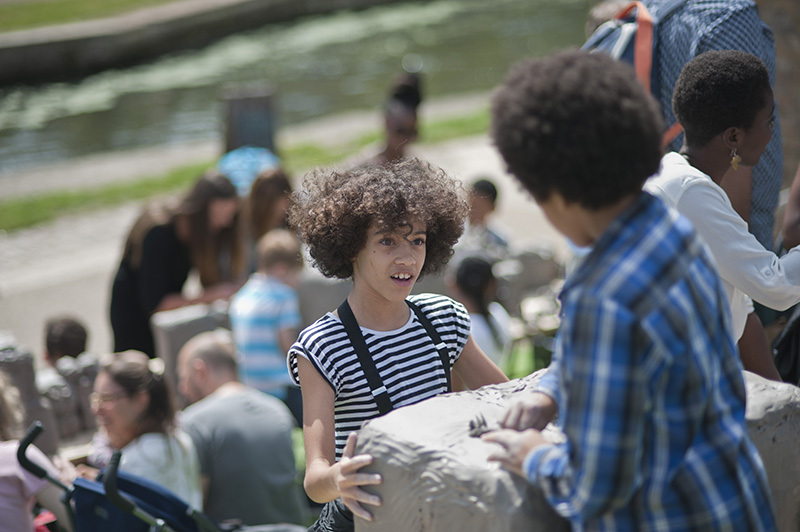 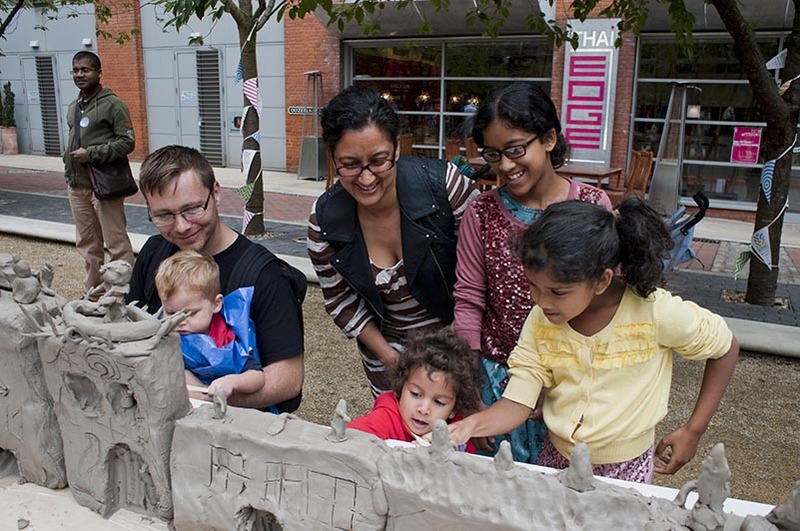 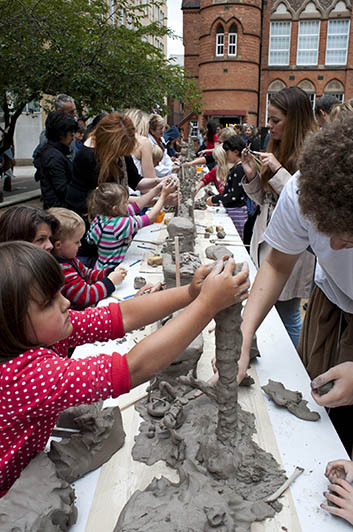 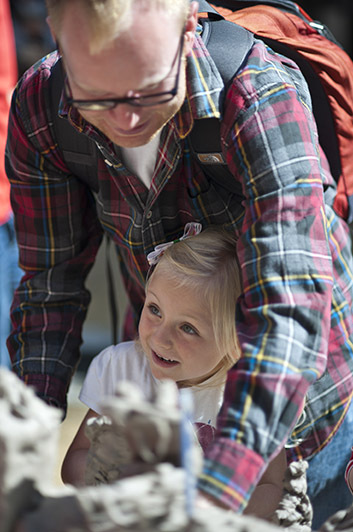 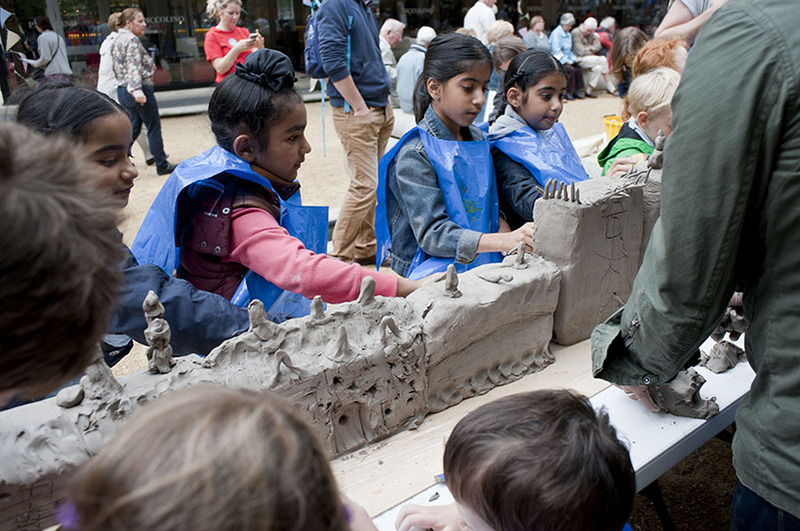 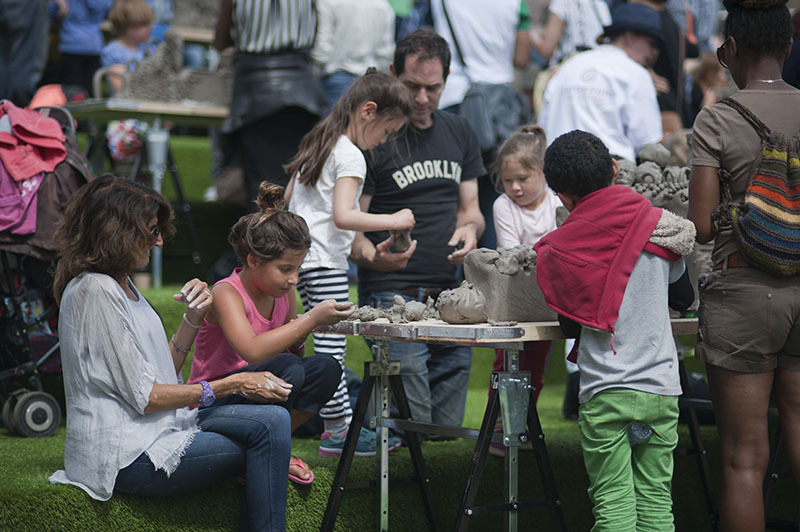 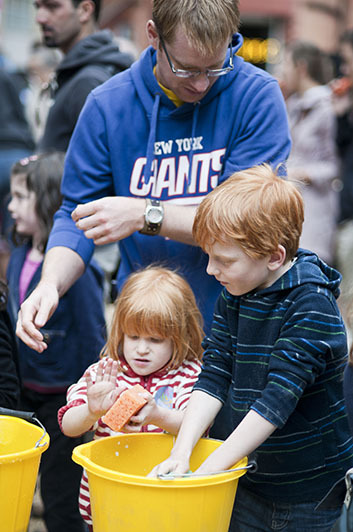 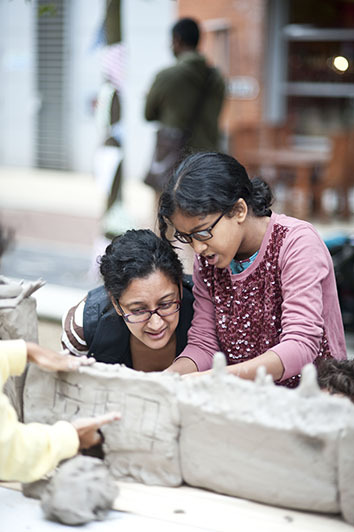 In London, a large-scale installation in Granary Square, King’s Cross, was Time-Out’s favoured family activity in August 2015. 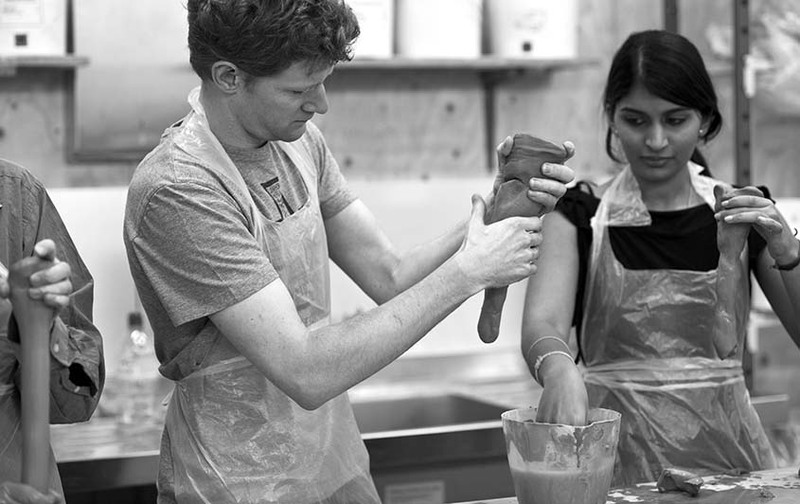 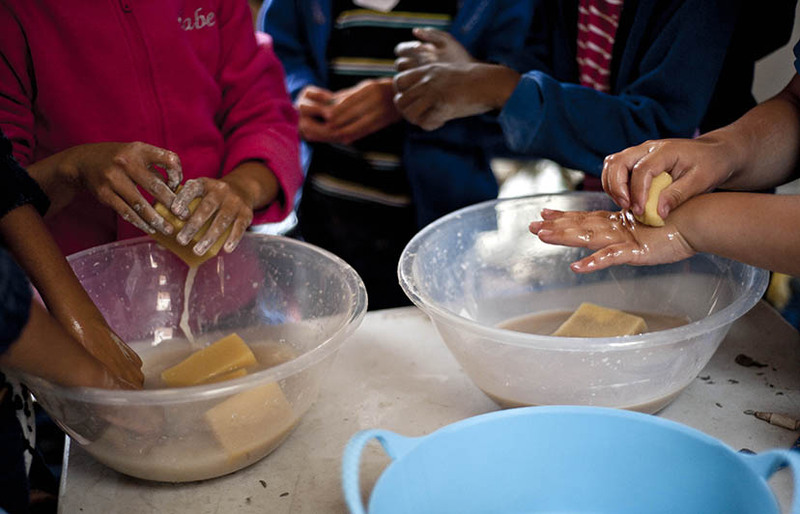 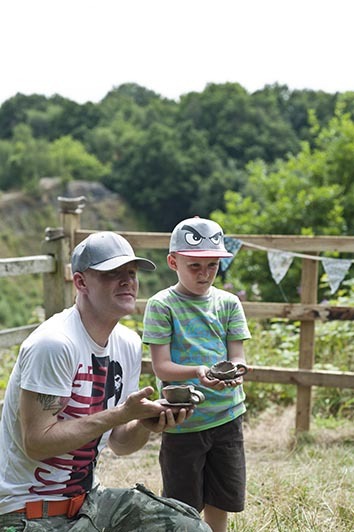 Clayground has worked in a significant number of schools to encourage development of clay studies and hand skills. 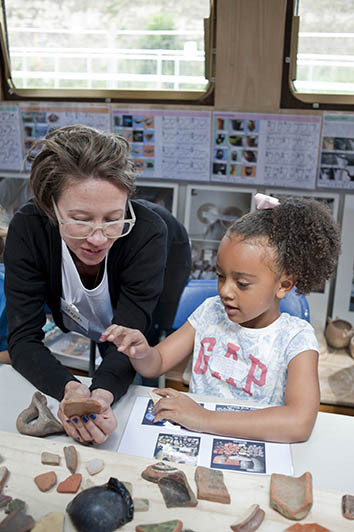 We now welcome opportunities to train groups of teachers rather than working in individual schools with students. 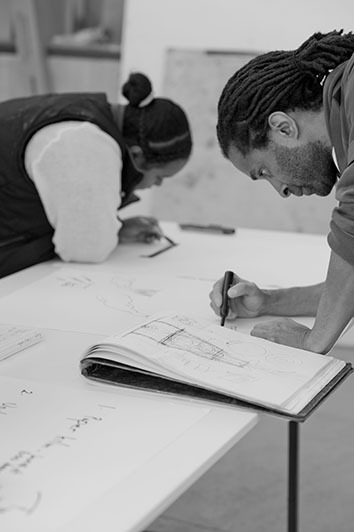 We are currently writing a book for educators in formal and informal education. 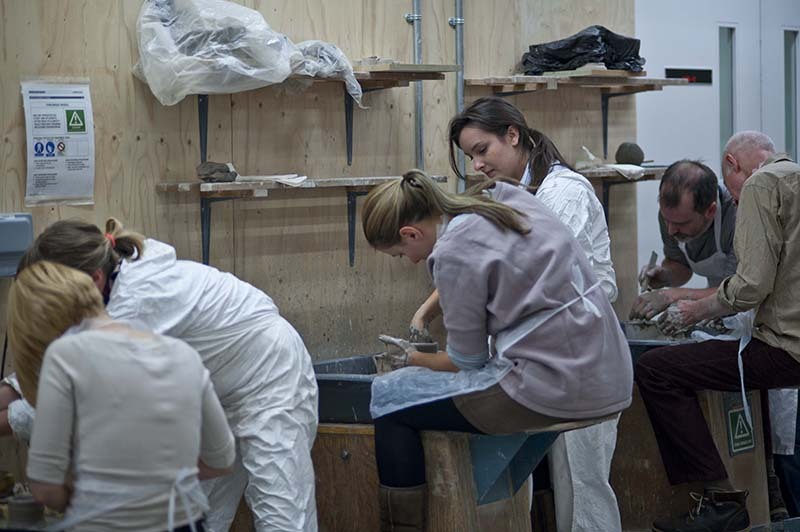 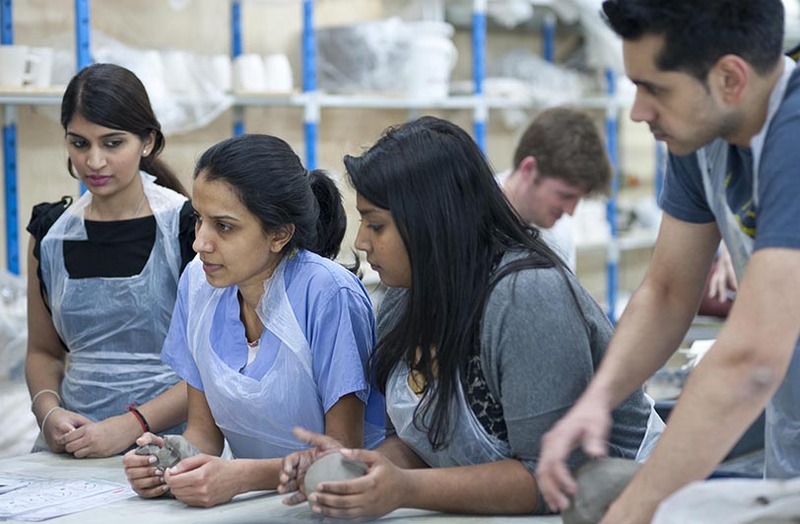 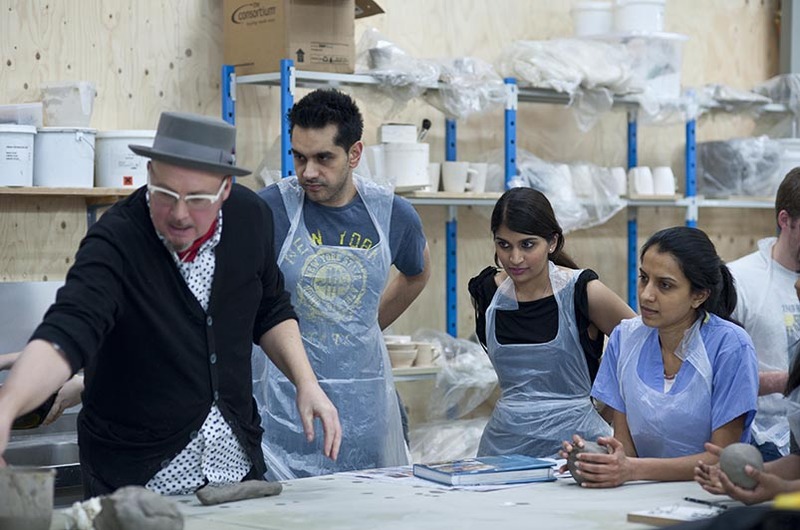 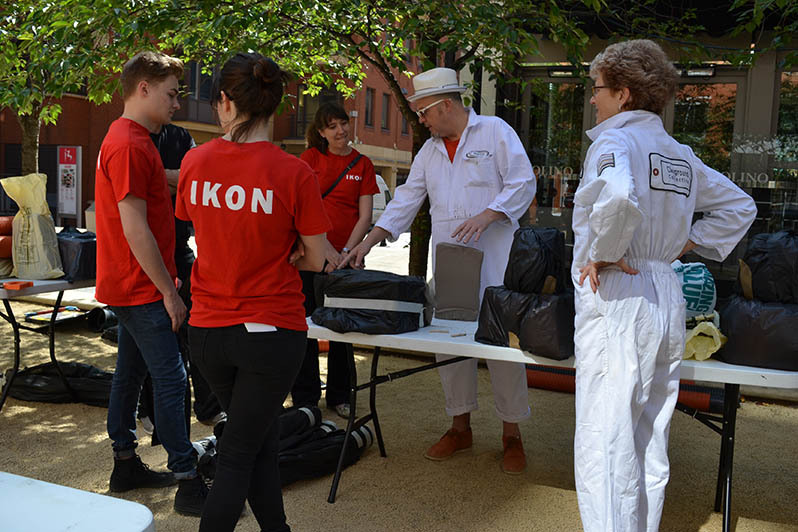 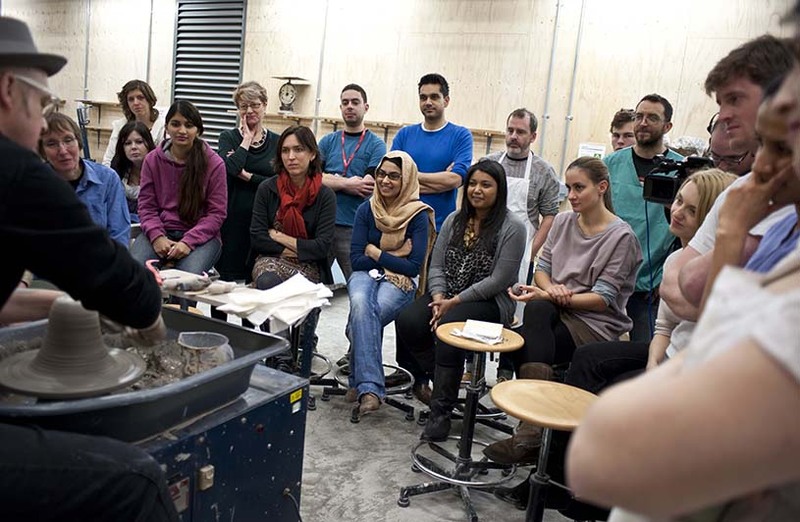 We regularly work with Ceramic Design students at Central Saint Martins – thought to be the only single-subject Ceramics BA course remaining in England and with student volunteers at galleries like Ikon, Birmingham, and at the British Ceramics Biennial, Stoke-on-Trent. 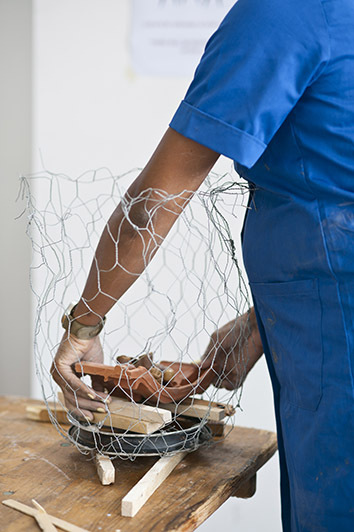 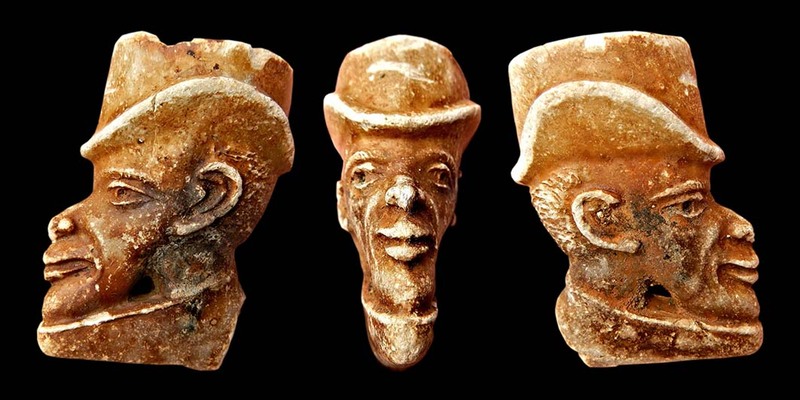 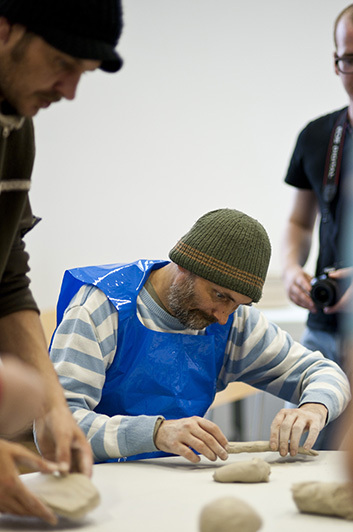 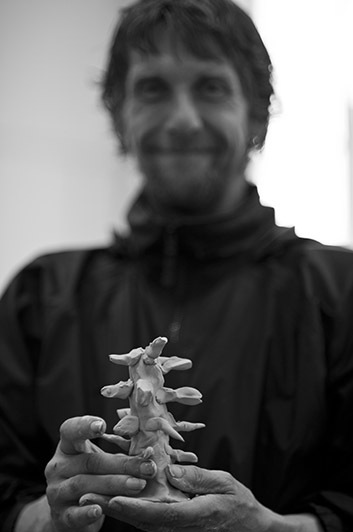 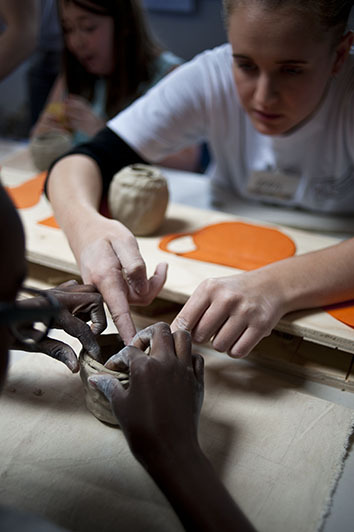 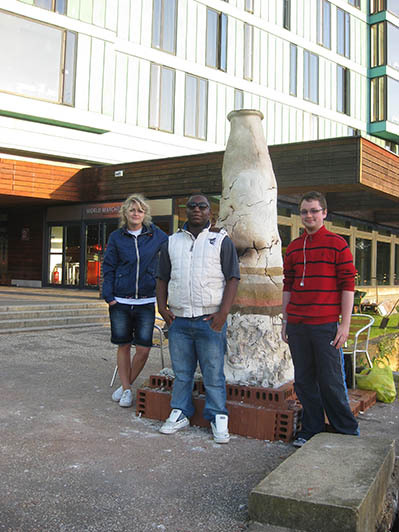 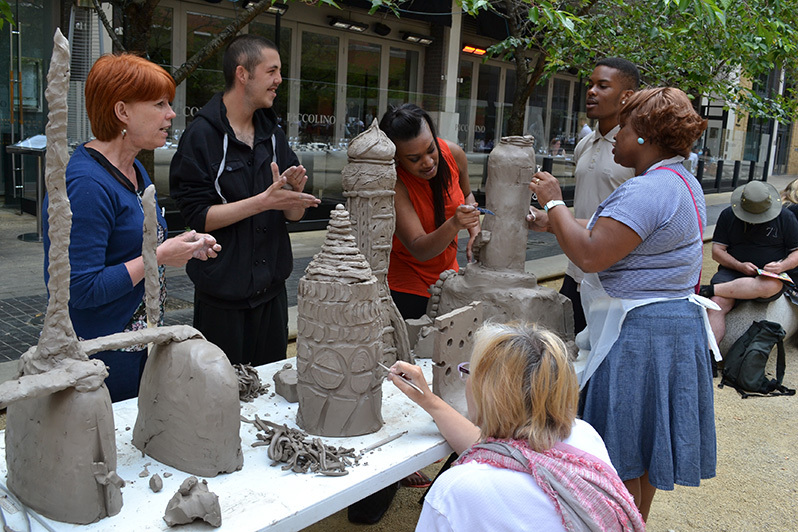 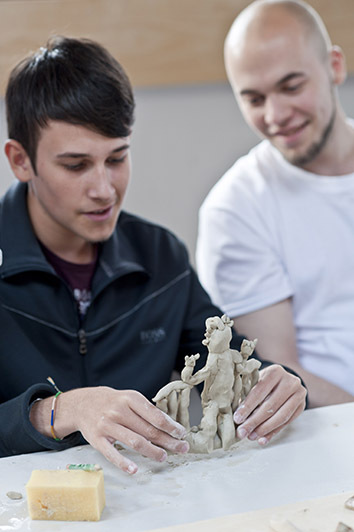 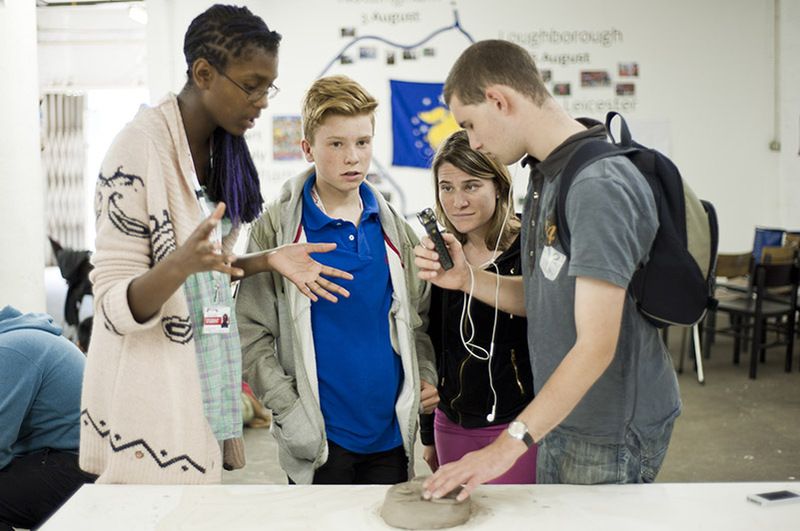 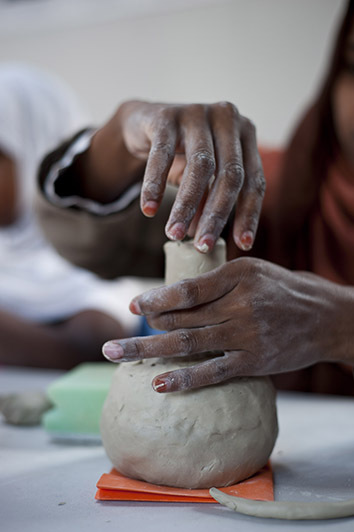 We provide work experience, mentoring on clay context, ethics and practicalities of participatory working and access to our research strand, Thinking Hands? 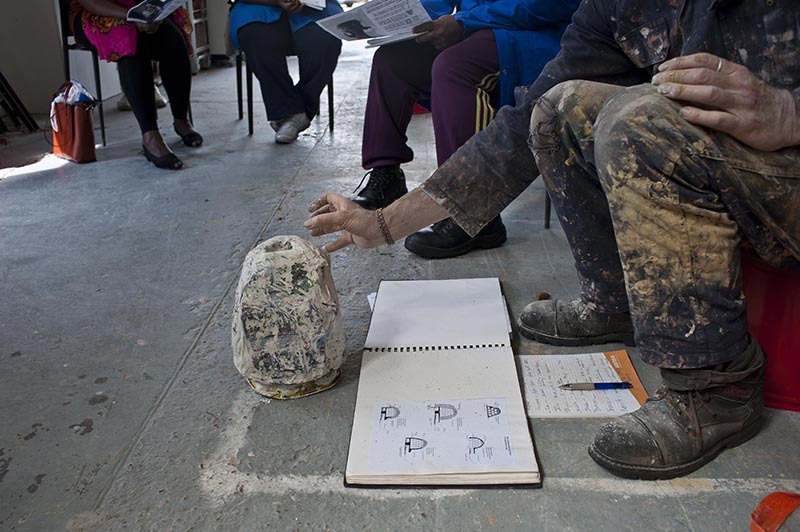 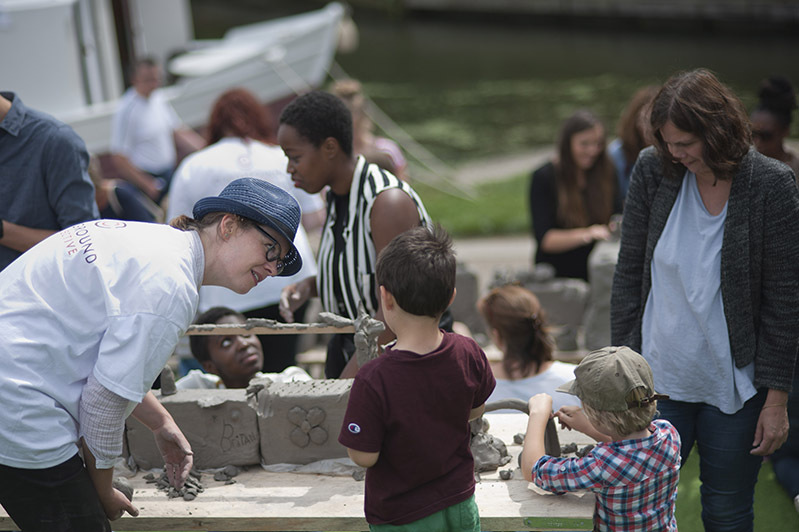 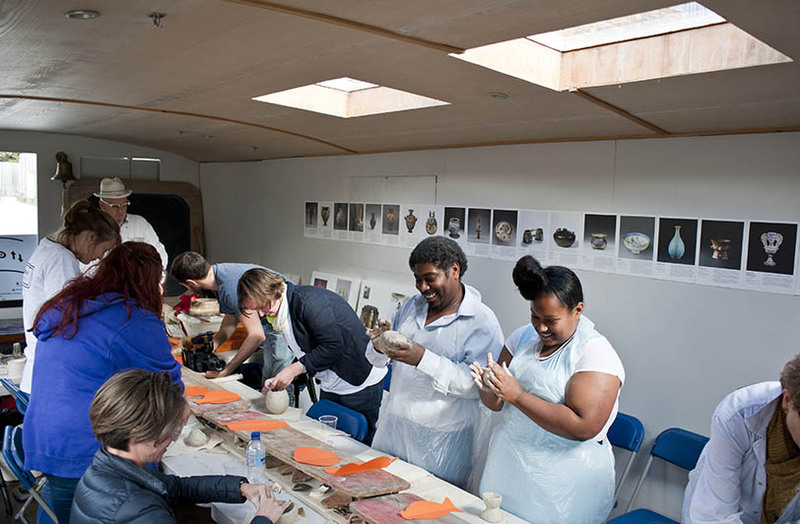 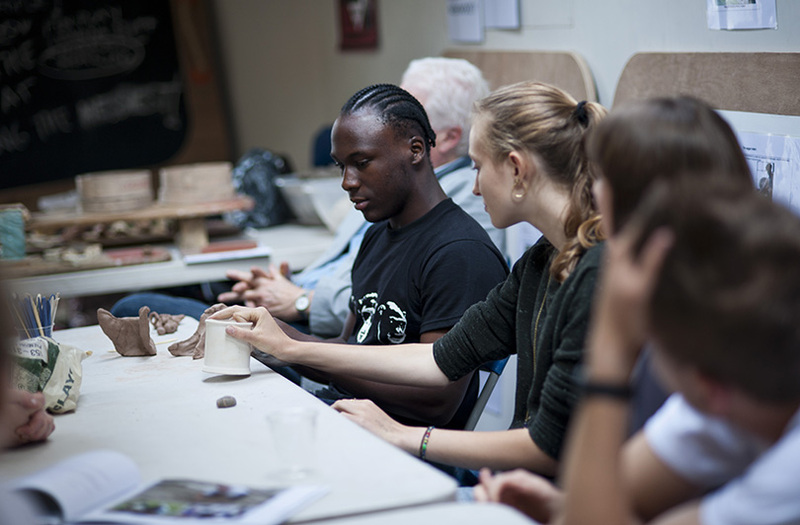 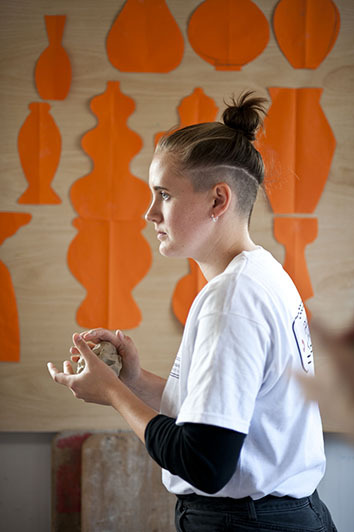 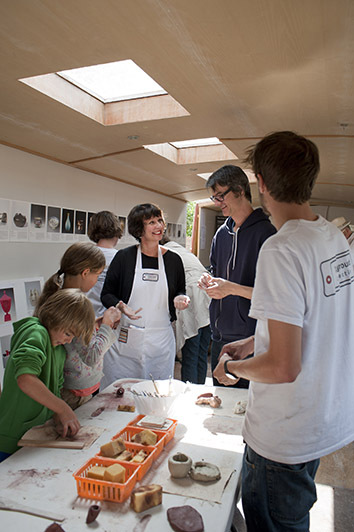 “The college can only provide participatory experiences by working with independent organisations like Clayground.” Kathryn Hearn, Ceramic Design, Central Saint Martins.